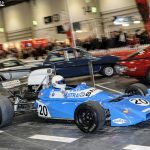 February arrives and brings with it the promise of a new auto season, both on and off the race tracks and concours halls. 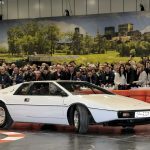 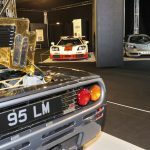 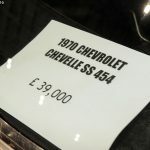 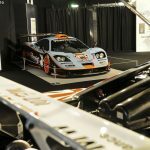 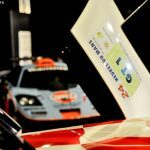 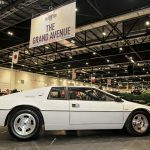 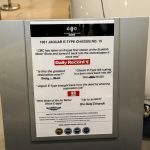 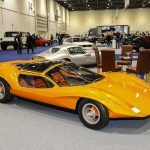 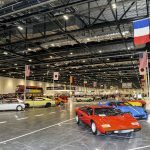 The Rétromobile in Paris is an annual high point but now here in London we have a show worthy of comparison, if one accepts that it is still in a developmental stage. 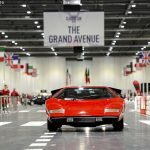 I am, of course, referring to the London Classic Car Show, now in its third year and double the size of the original. 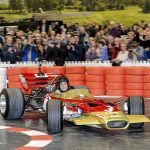 Right from the start the show had some good ideas, taking advantage of the space available they created the Grand Avenue so that the attendees could see the exotic collection of cars actually in motion and experience the physicality and noise of racing engines, we’re all kids at heart, especially when encountering a V12 Matra………. 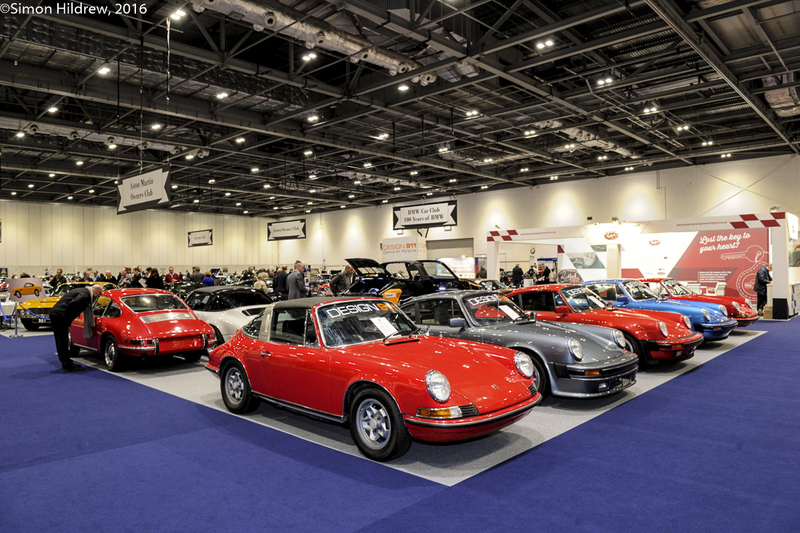 Another feature that is very popular with attendees is Car Club Square. 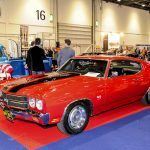 I am firmly of the opinion that any classic show should encourage the car clubs who are the foundation of our thriving classic scene. 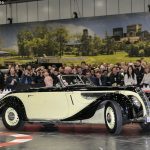 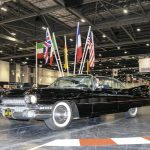 Where there are classic cars to be found, there will be dealers and they too provide an important element of the show, bringing their stock for out appreciation and hopefully, for them, our custom. 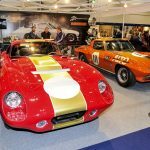 There are some enhancements for 2017, notably the addition of the Historic Motorsport International, backed by the Historic Sports Car Club. 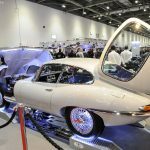 This gives a new dimension to the show and will greatly broaden the range and variety of cars on hand. 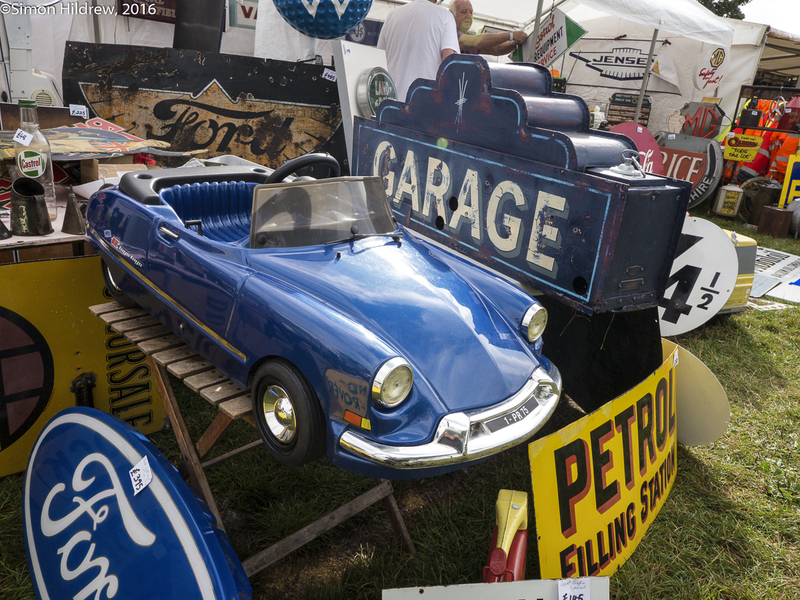 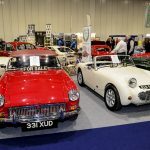 Celebrating their 50th anniversary in 2017 is the Beaulieu Autojumble and there will be a pop-up version at the LCCS on the Saturday and Sunday to give those of us less well heeled folk something to afford. 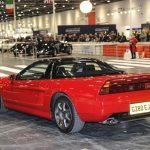 2017 will see a number of features specially aimed at enthusiasts. 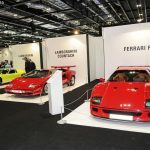 70 years of Ferrari will be celebrated with a display reflecting the glory of the brand specially put together by Joe Macari, former Le Mans racer and one of London’s leading specialists on high performance cars. 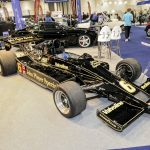 Half a century has passed since the introduction of the Cosworth DFV, the engine that changed Formula One out of all recognition. 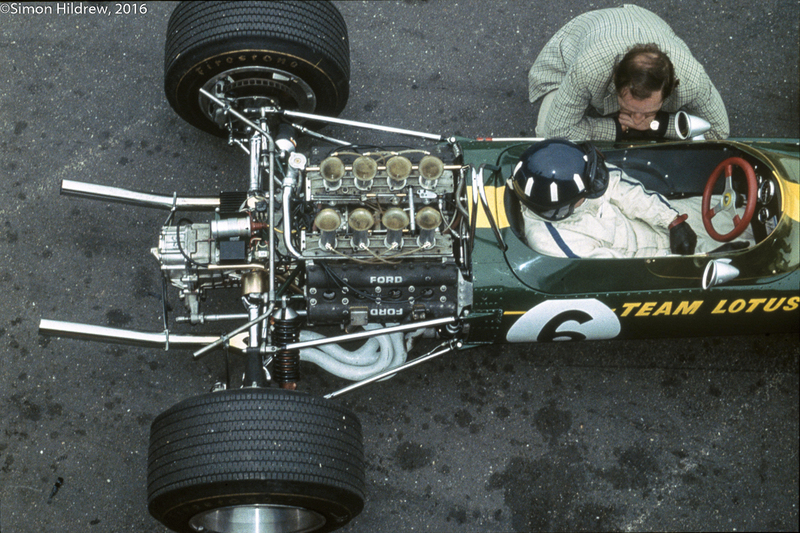 At Zandvoort in June 1967 Jim Clark took a dominant victory in his Lotus 49, the first of 155 Grand Prix in the following 17 seasons. 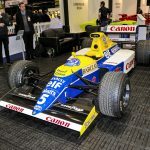 So a tribute to Keith Duckworth and Mike Costin’s stroke of genius is most appropriate and to illustrate the scope of the engine’s career there will be a display of cars at HMI, it is bound to be a highlight. 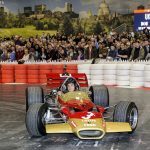 The opening day, Thursday 23rd February will feature a salute to one of the greatest racing drivers of them all, Jacky Ickx, who will be present as the show’s Guest of Honour. 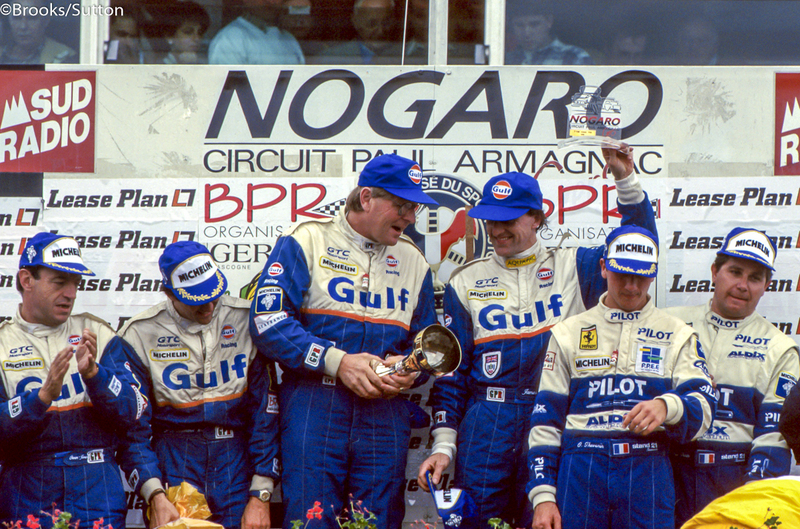 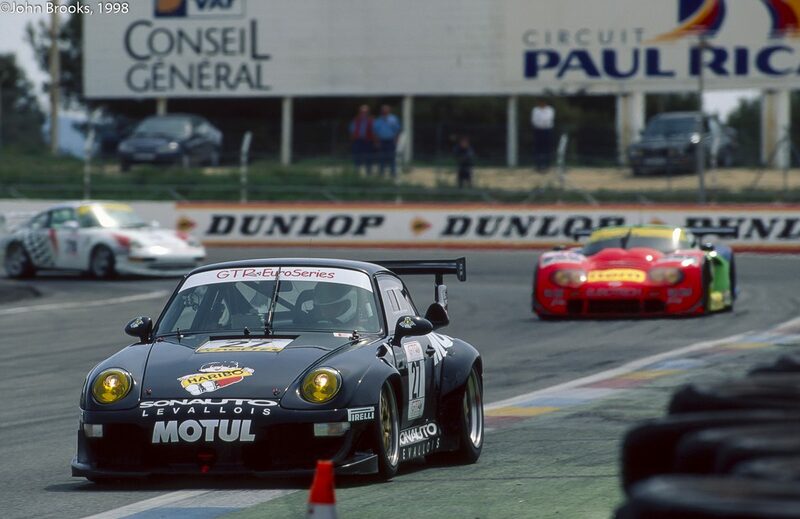 Not only that but two of his co-drivers from his six wins at the Le Mans 24 Hours, Jürgen Barth and Derek Bell will also be present. 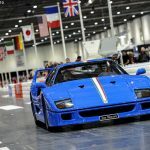 Completing the circle of Le Mans’ giants will be five-time winner Emanuele Pirro, so if La Sarthe is your thing head on down to Docklands. 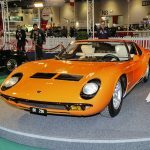 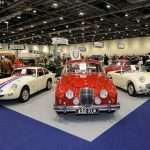 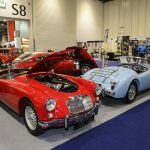 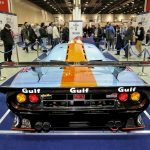 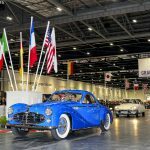 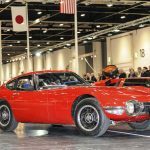 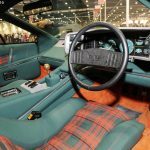 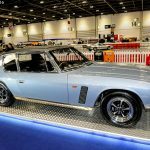 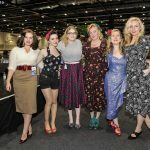 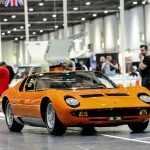 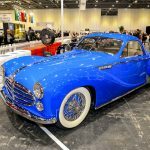 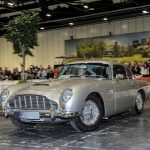 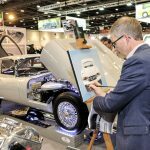 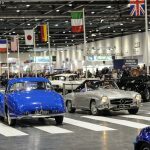 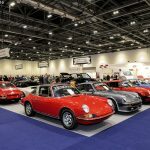 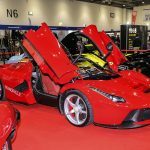 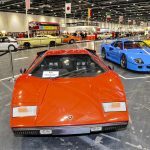 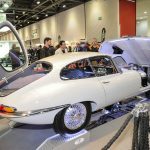 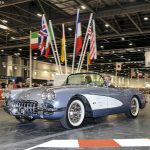 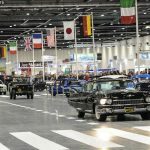 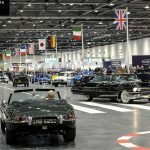 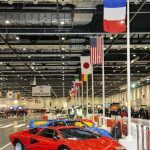 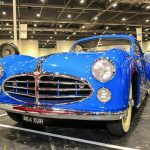 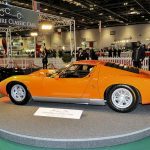 The London Classic Car Show and HMI will be held at ExCeL London, on 23-26 February, with access to both shows included in the entry price. 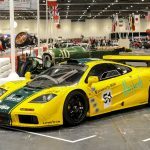 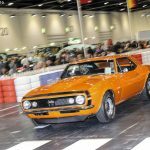 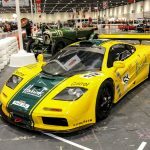 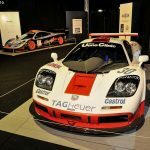 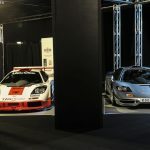 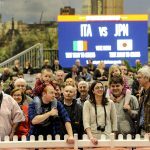 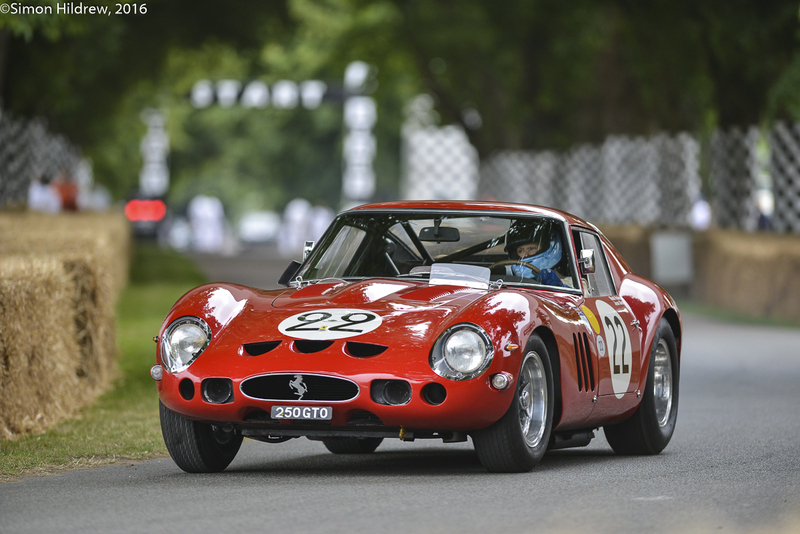 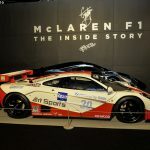 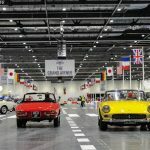 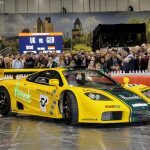 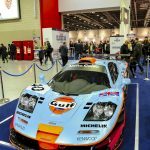 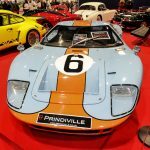 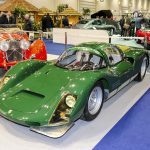 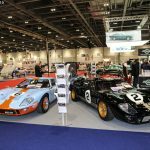 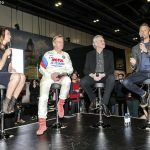 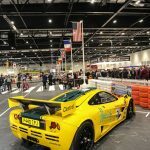 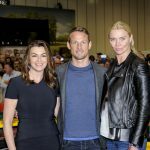 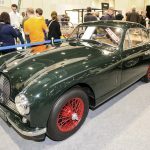 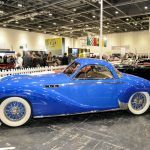 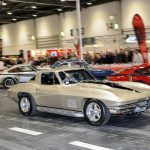 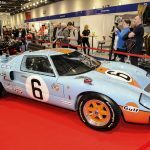 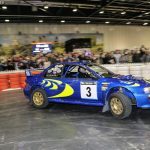 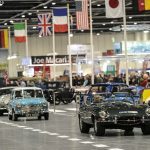 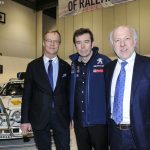 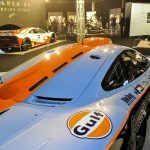 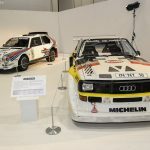 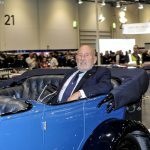 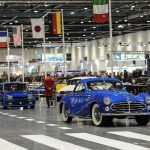 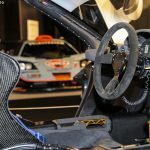 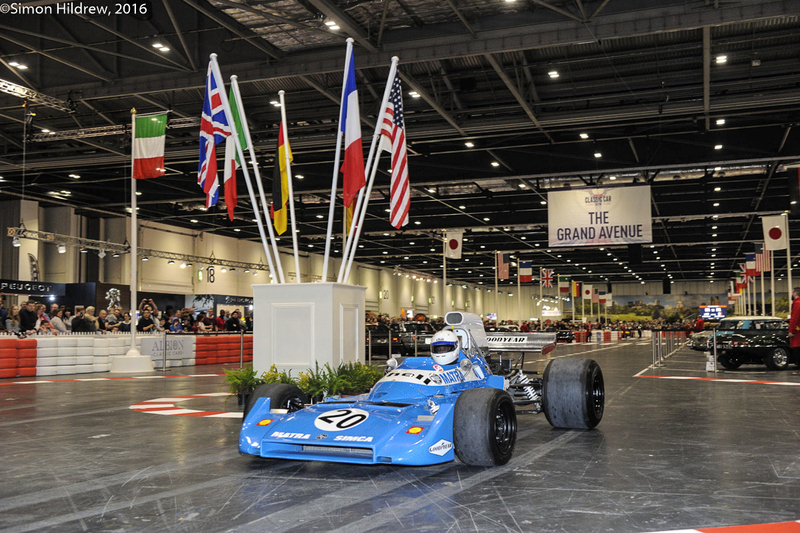 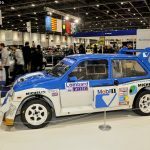 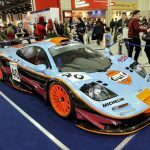 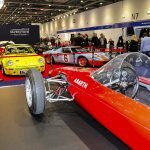 Historic Motorsport International will open its doors at 12.00pm on Thursday 23 February, while the London Classic Car Show will burst into life at 3pm that afternoon. 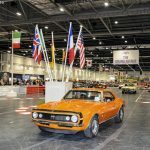 To get a flavour of the event have a scan through Simon Hildrew’s stylish photopgraphy from 2016; go along, you will not regret it. 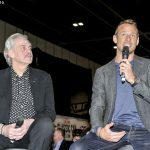 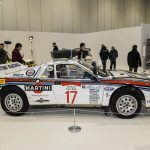 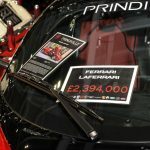 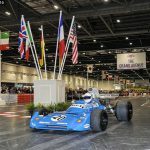 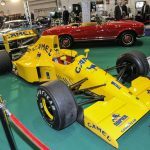 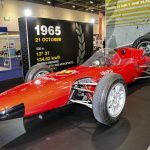 This entry was posted in Notes from the Cellar, The Focal Point and tagged Cosworth DFV, Emanuele Pirro, Ferrari, Historic Motorsport International, Jacky Ickx, Joe Macari, Jürgen Barth, The London Classic Car Show on February 10, 2017 by John Brooks. 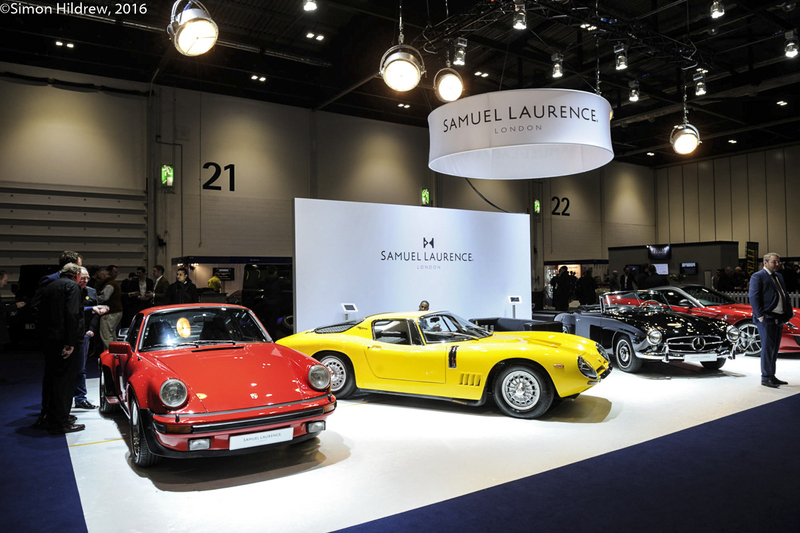 More from our favourite Bond Girl, who put this fine piece together for us a few weeks back. 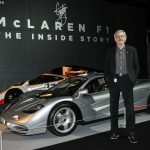 Life imitates Morse and I have been extremely tardy in posting, apologies to all, will do better, yeah, right! 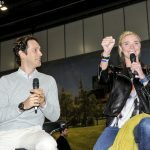 As a lifelong equestrian, it’s both humbling and awe inspiring to watch a professional trainer take an already awesome horse and elevate said beast to new levels of jaw-dropping excellence. 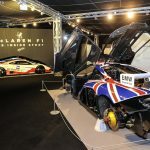 Such a presentation calls for a unique combination of talent, drive and experience. 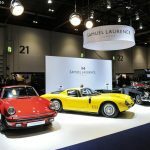 As an amateur, I usually want to hurry home, saddle my own horse and attempt to replicate that caliber of horsemanship. 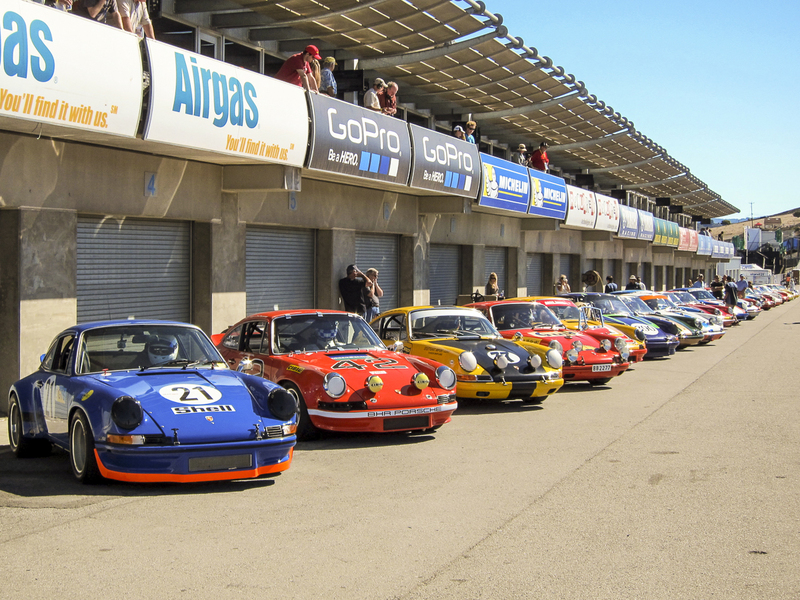 A racecar isn’t a horse and vice versa, but the 2013 Rolex Monterey Motorsport Reunion provided race enthusiasts with the opportunity to witness the same type of demonstration. 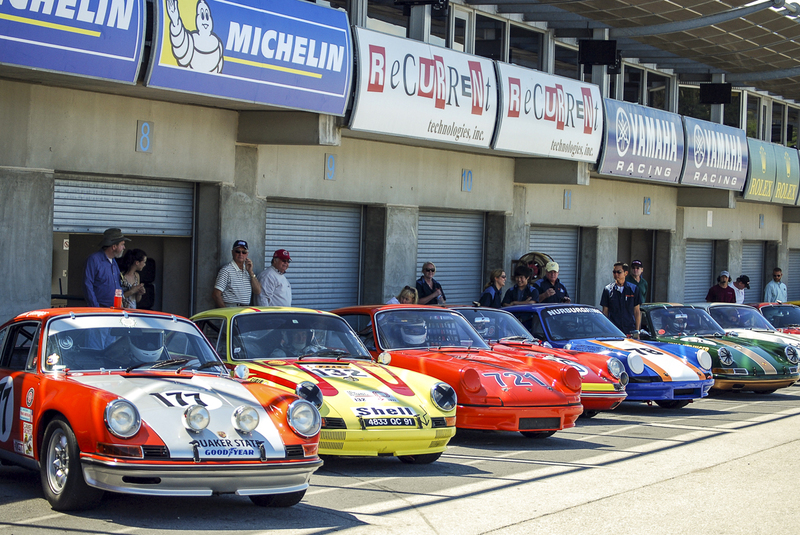 In general, vintage events tend to restrict the run groups to amateurs. 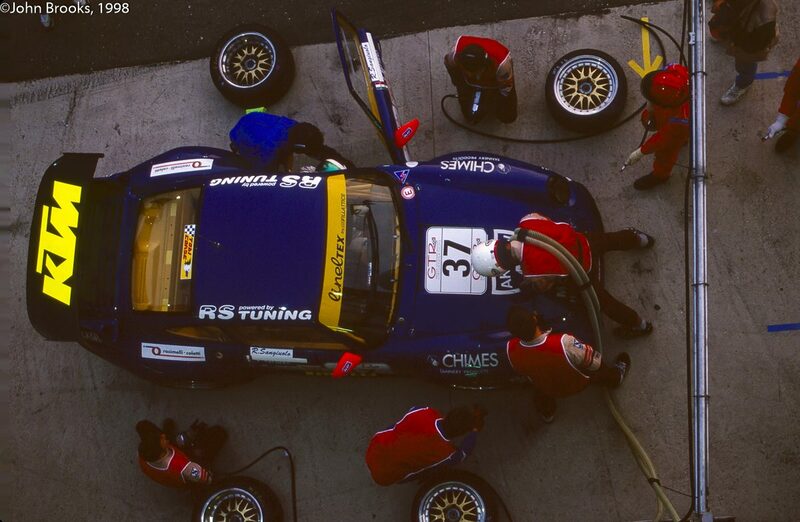 Professional involvement is usually kept to a minimum and for good reason. 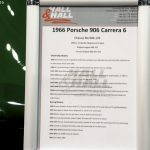 However, with Porsche celebrating the 50th anniversary of the 911, the organizers encouraged the participation of several pro drivers by creating a special run group of 911’s built from 1964 to 1973. 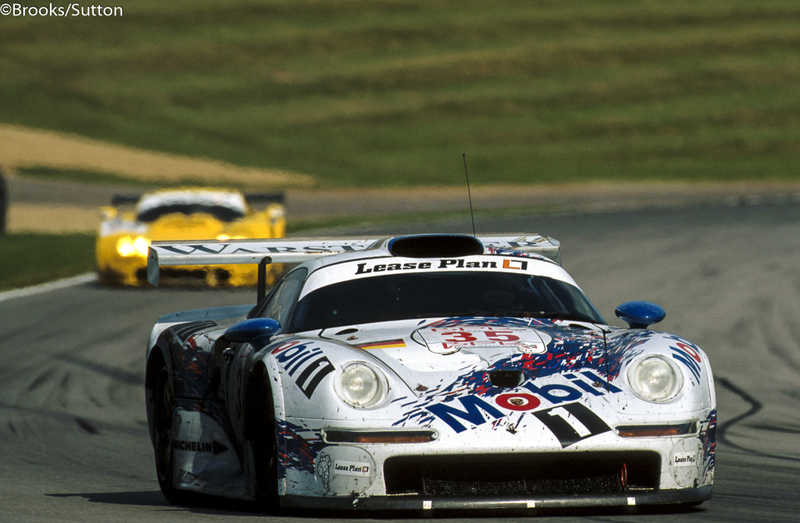 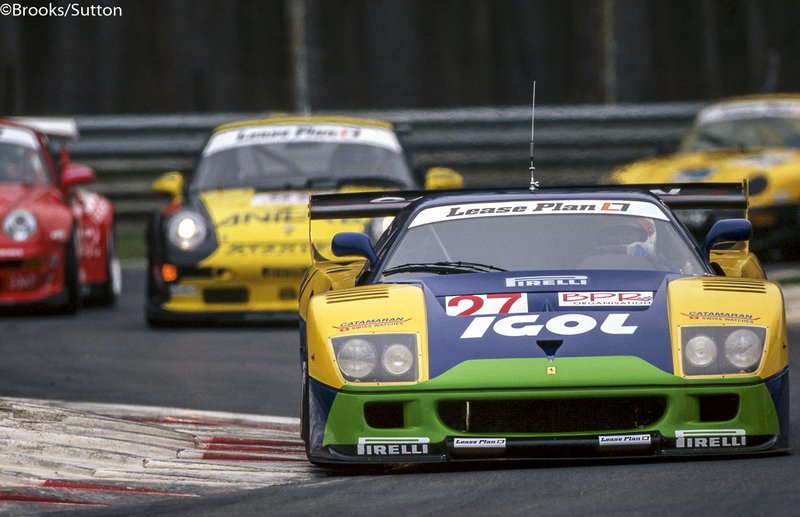 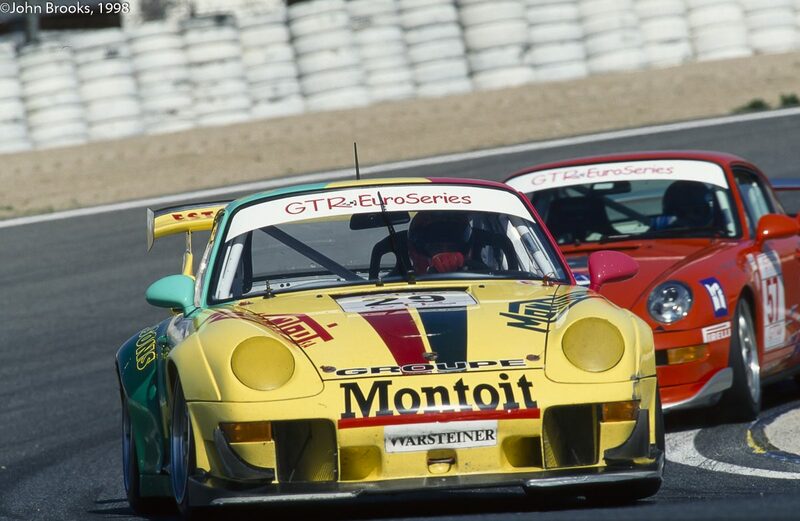 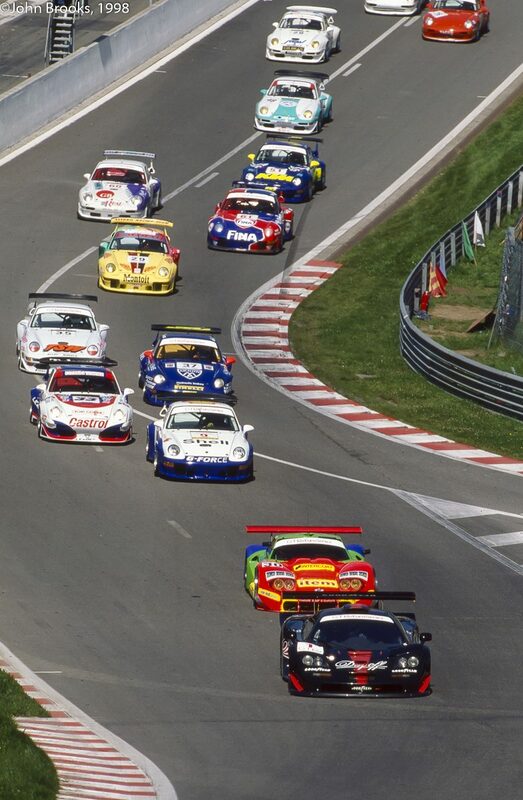 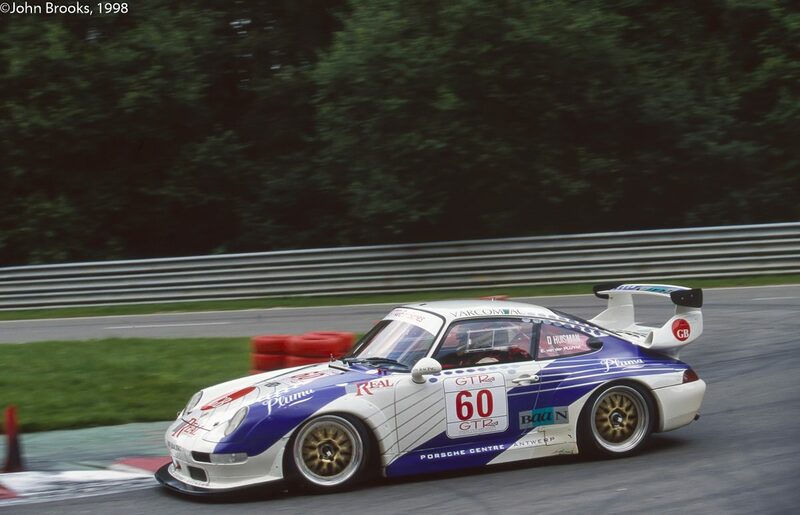 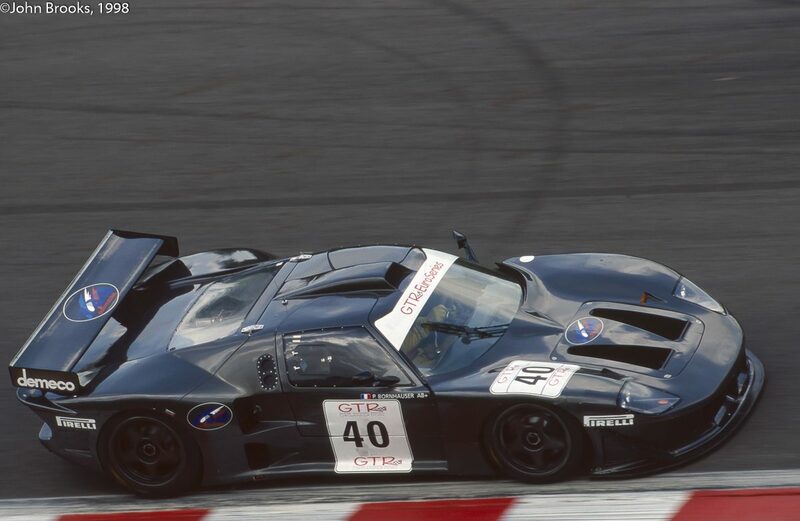 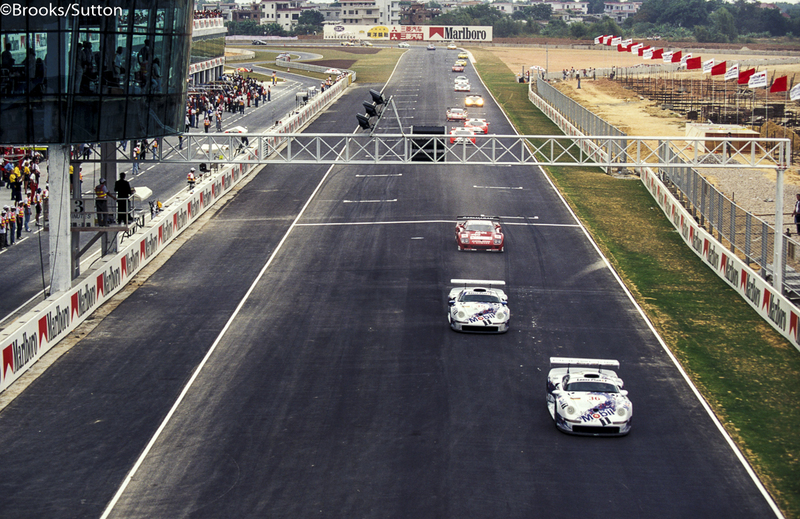 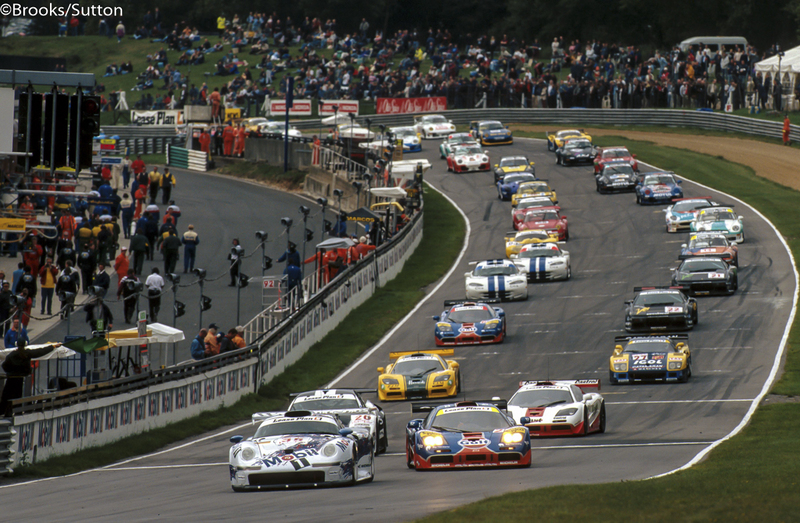 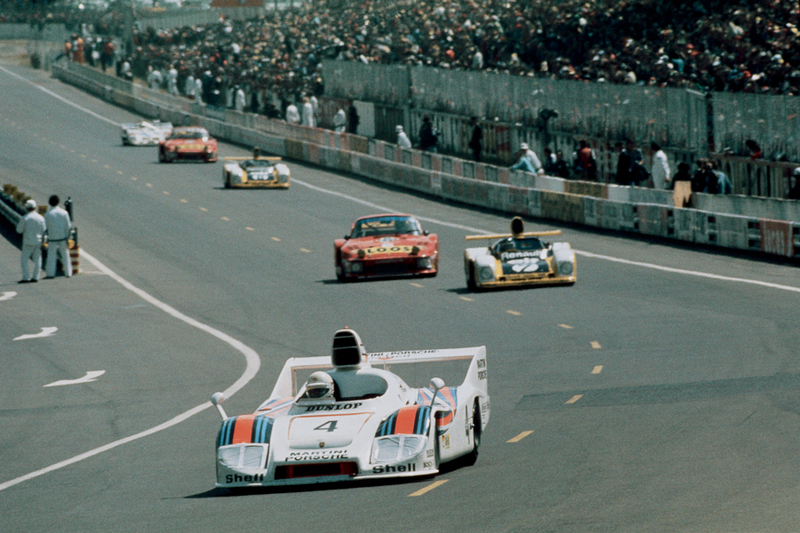 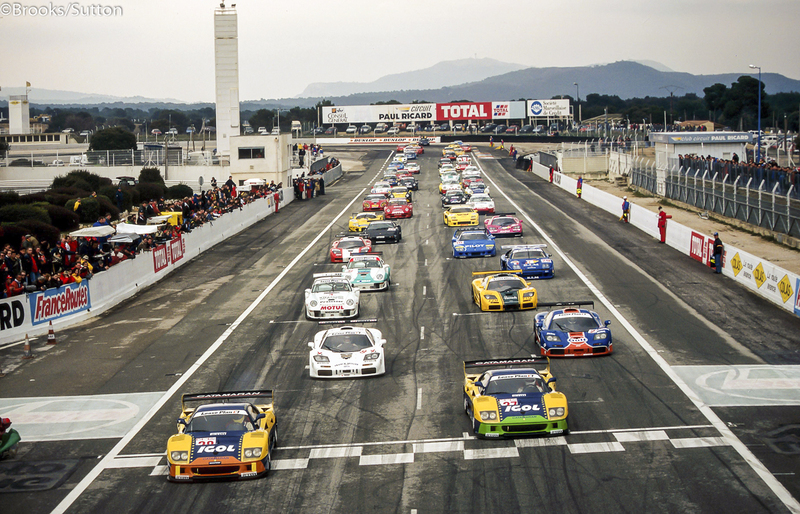 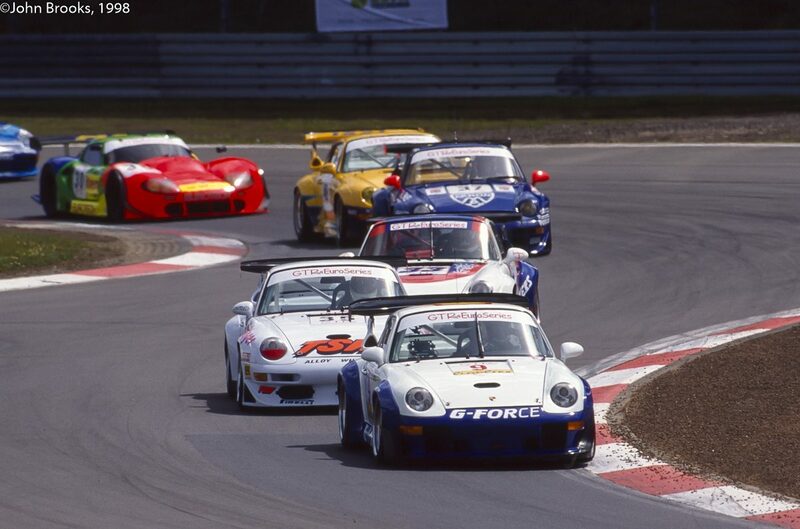 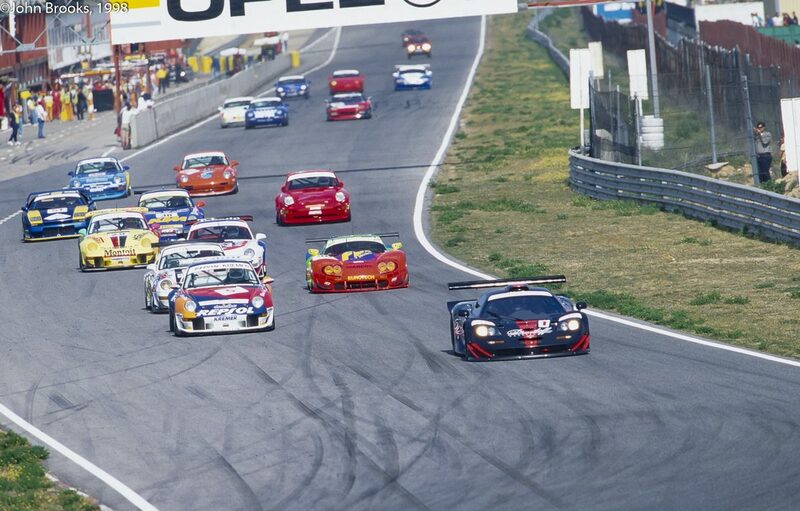 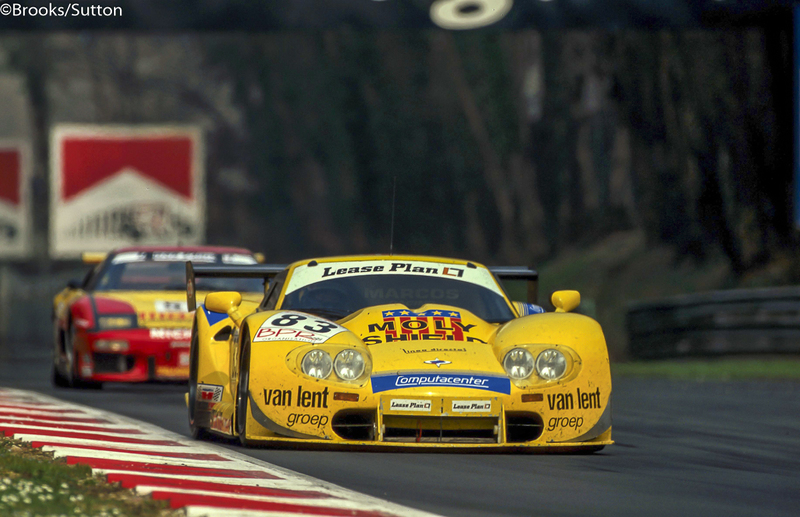 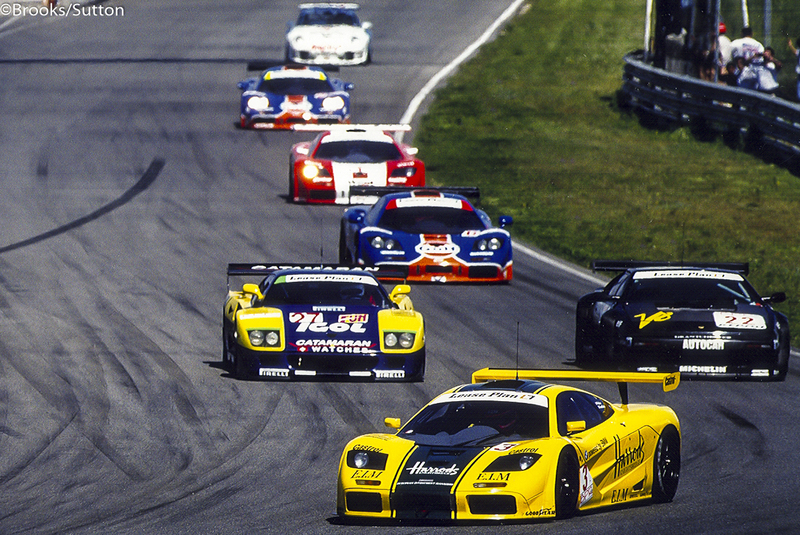 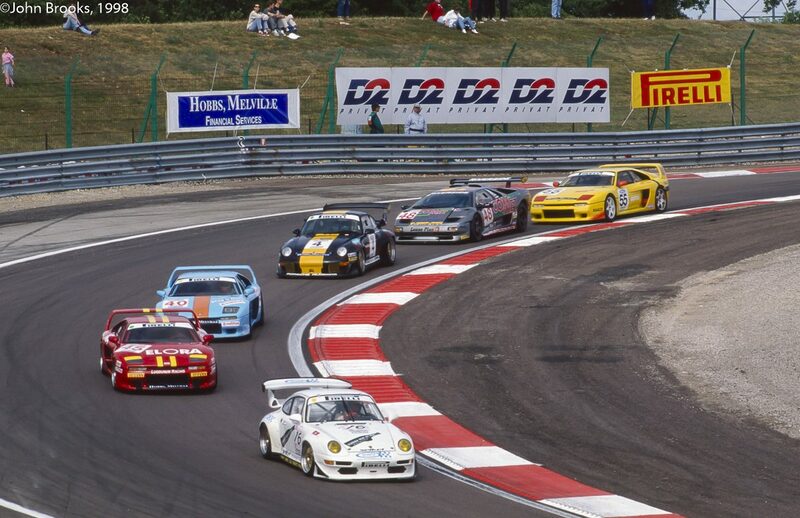 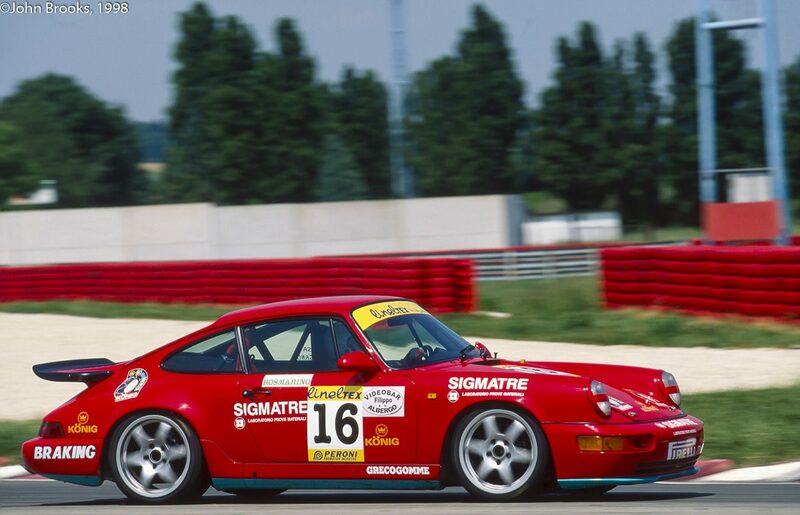 Over forty entries were accepted for Group 8B known as the Weissach Cup. 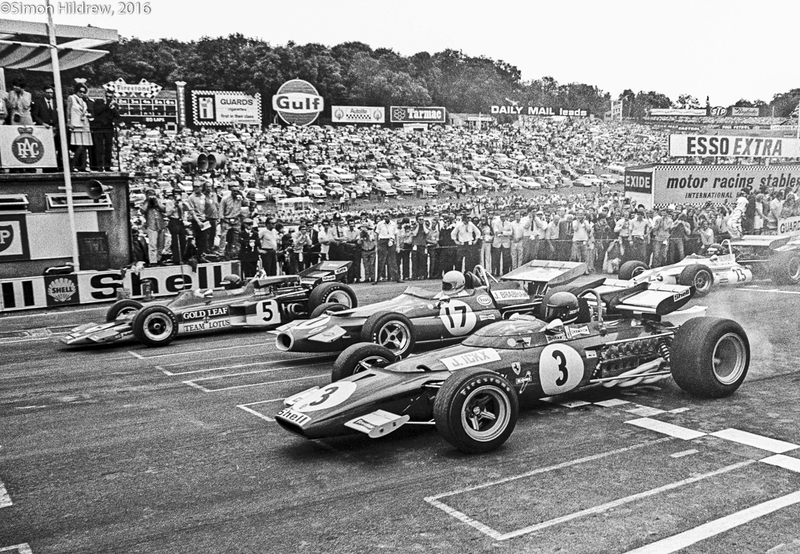 One of those drivers on the grid was Jürgen Barth. 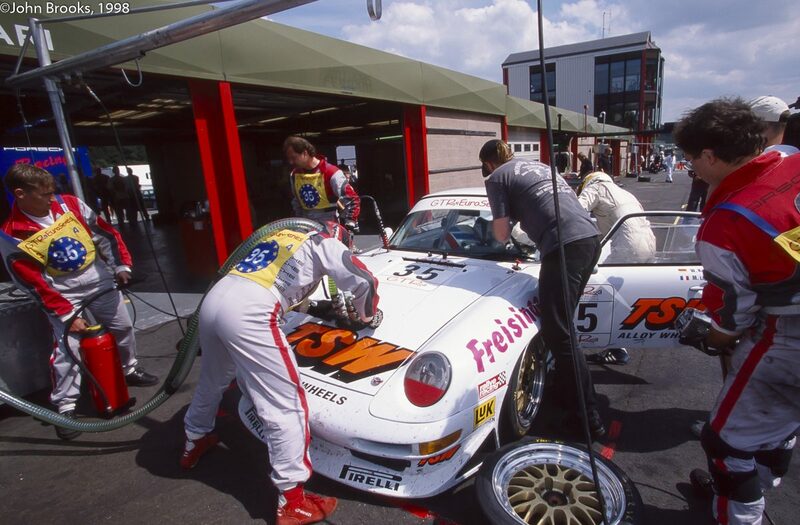 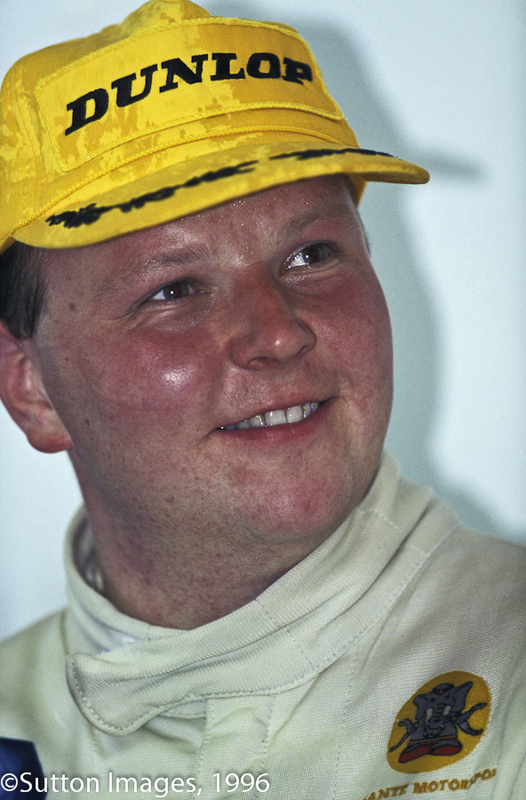 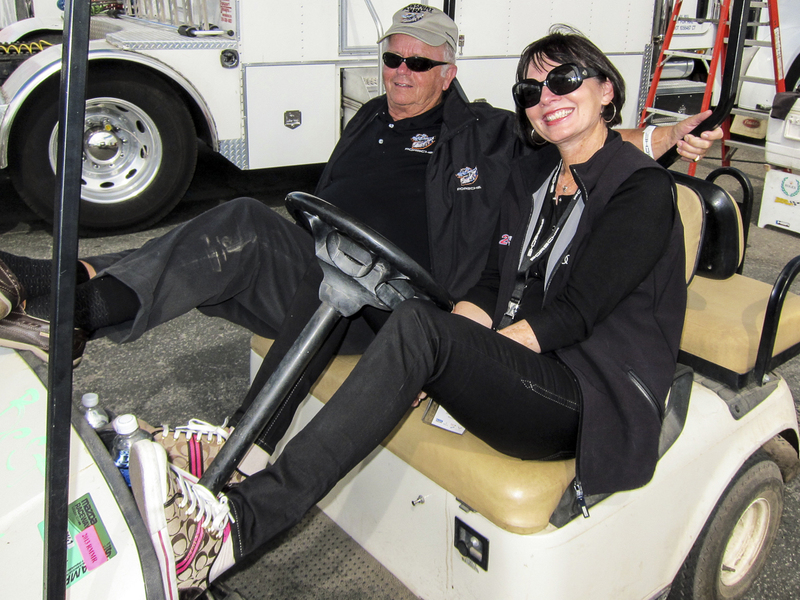 Barth embodies the motorsport professional. 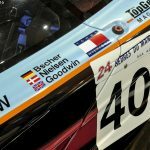 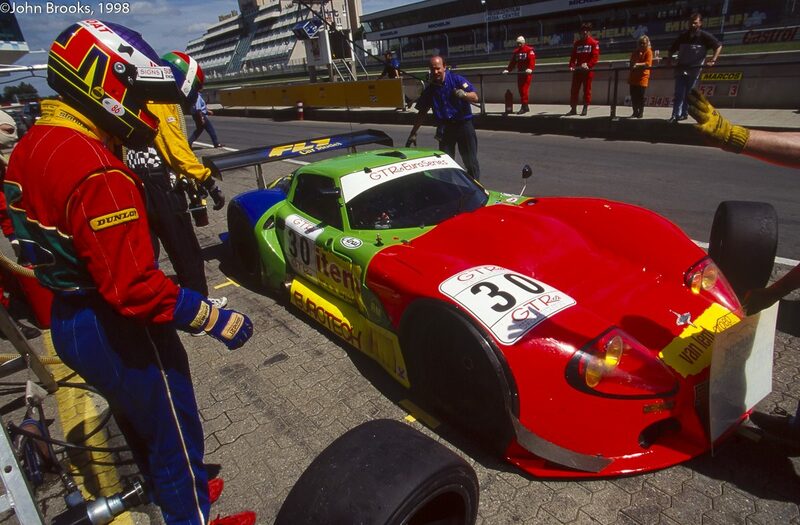 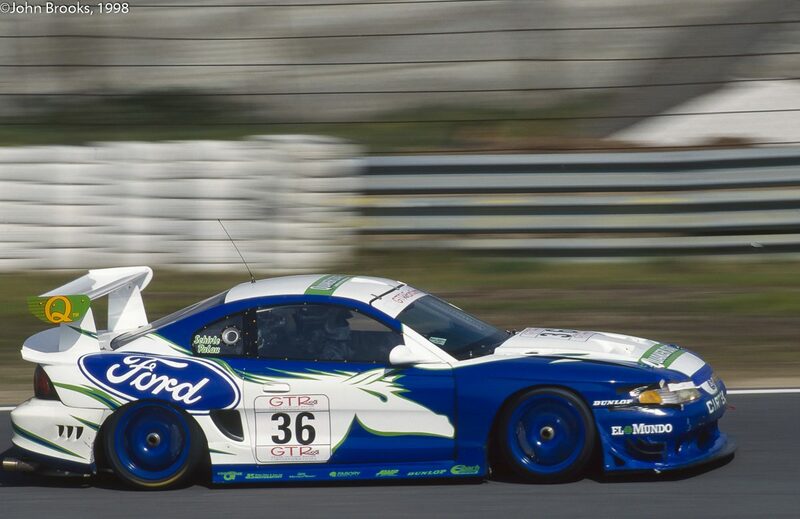 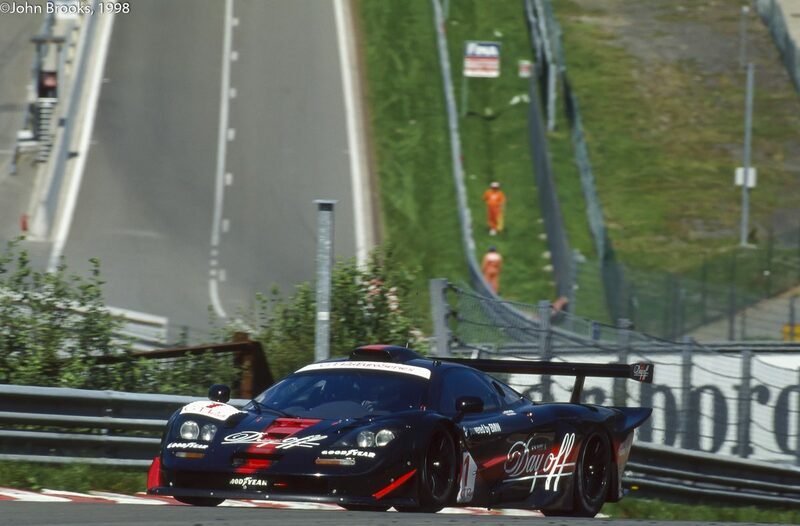 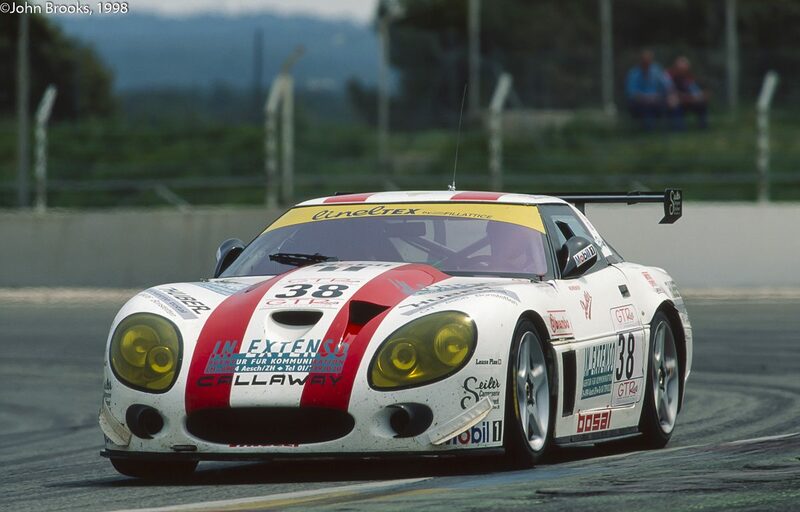 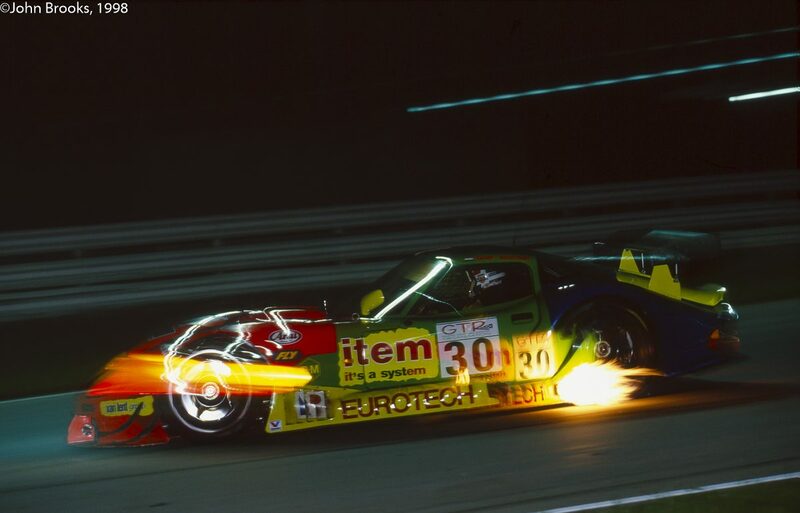 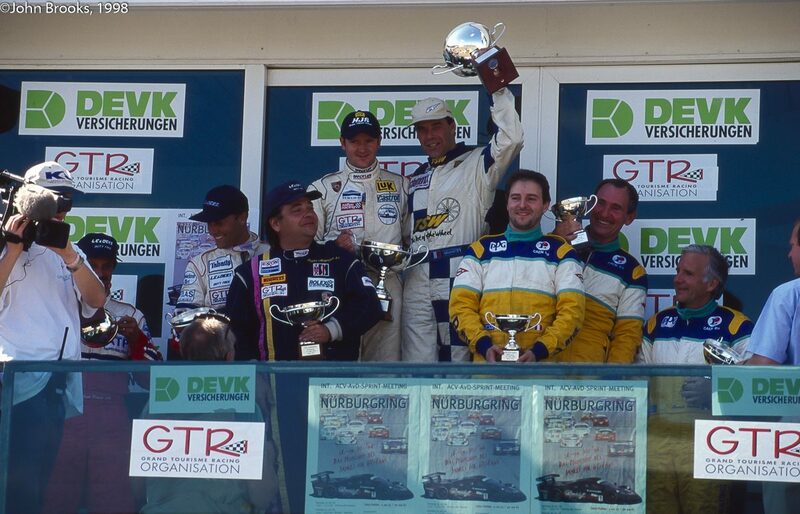 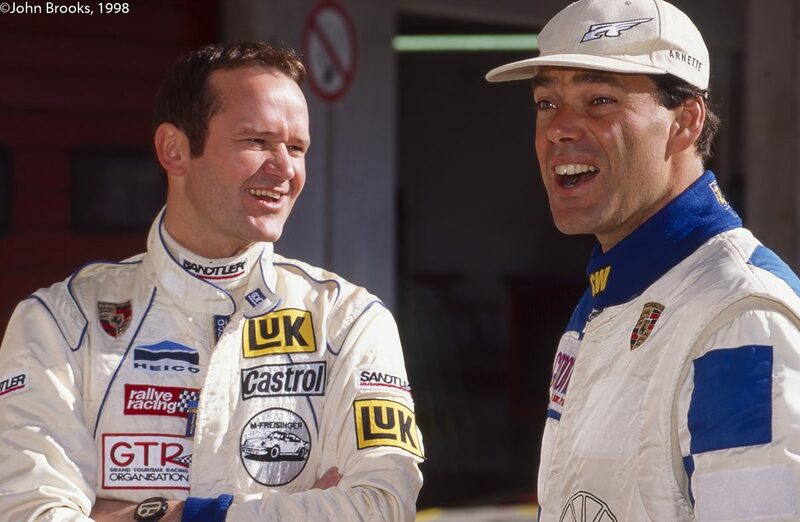 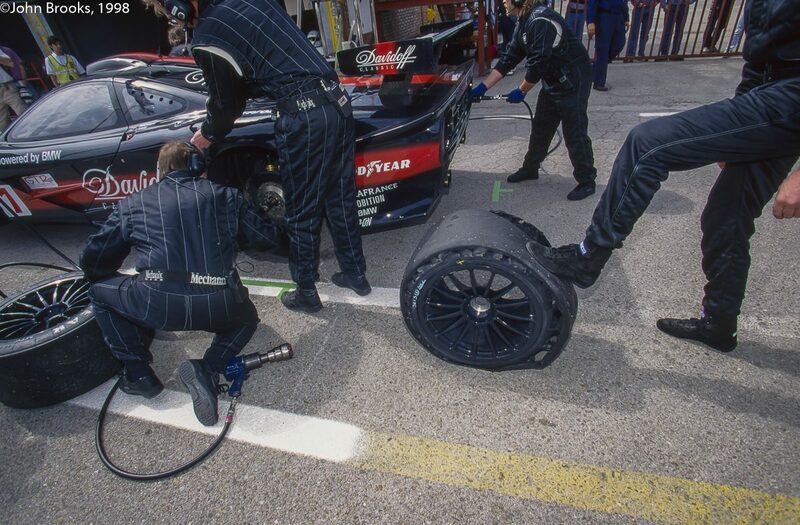 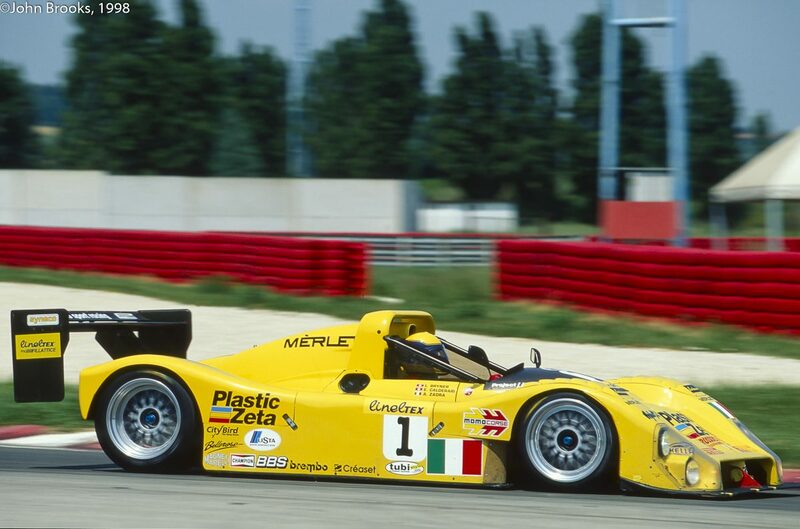 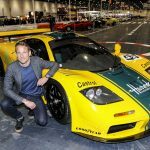 Experienced in virtually every aspect of the game, the Barth resume includes driver, with overall and class victories at Le Mans, factory development driver, race organizer, international steward, and established author. 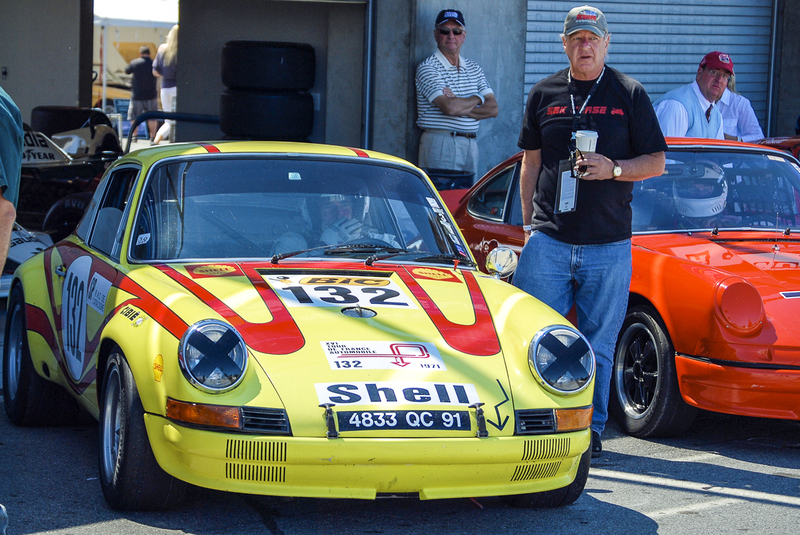 His steed for Monterey was indeed a special 911 and one that Barth was very familiar with. 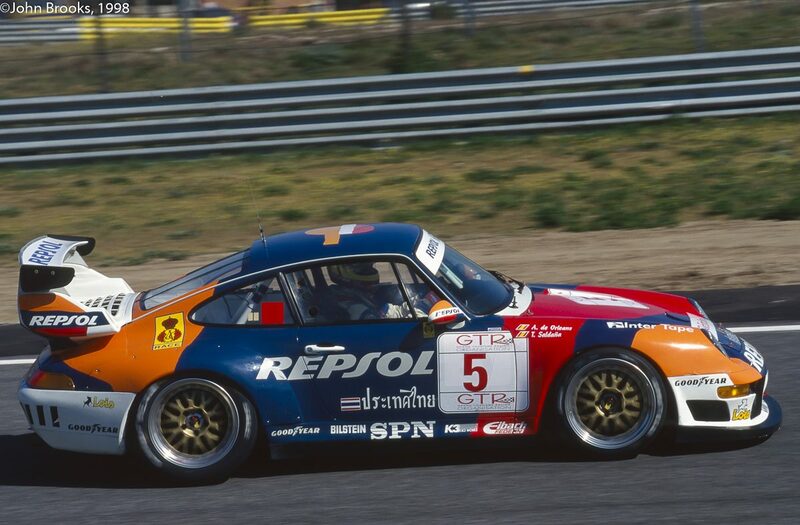 The 1970 911 ST, chassis number 911 030 0949, is one of the factory lightweight rally cars. 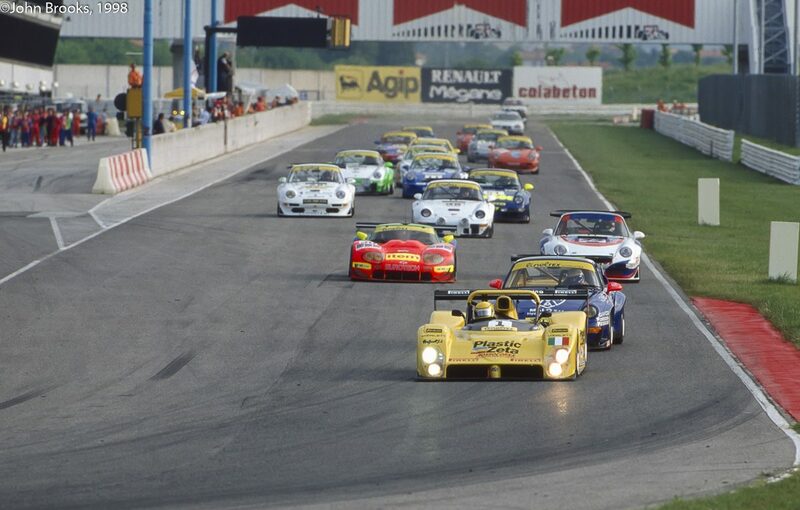 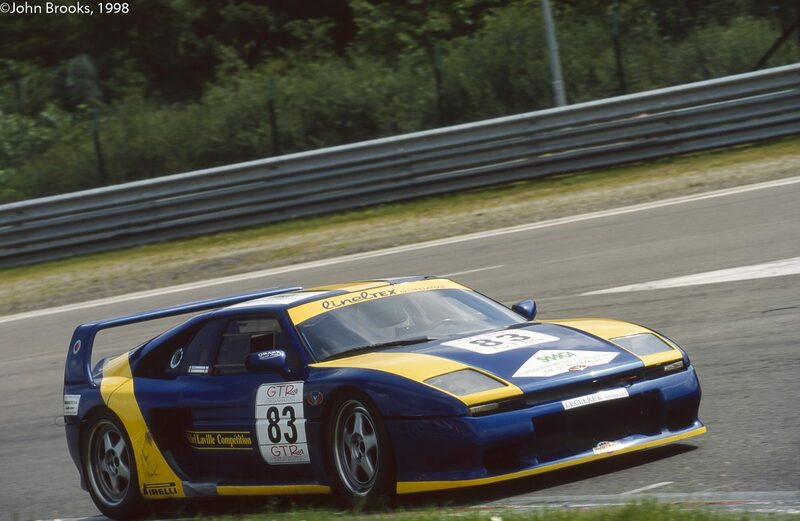 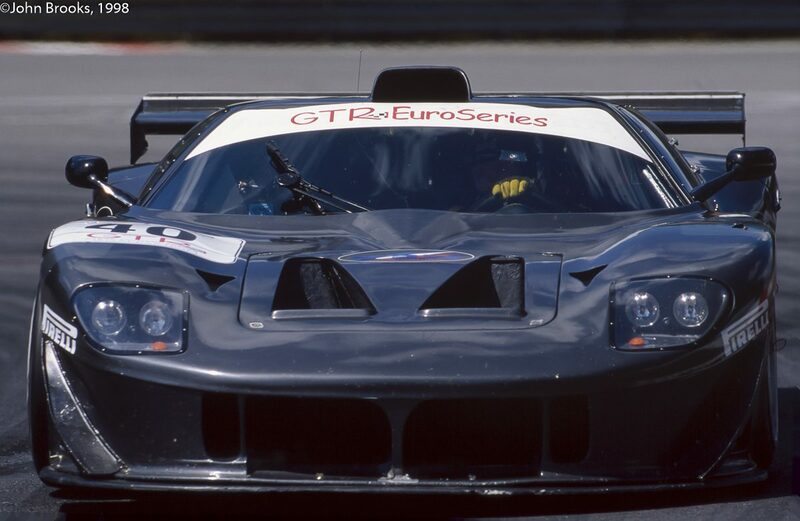 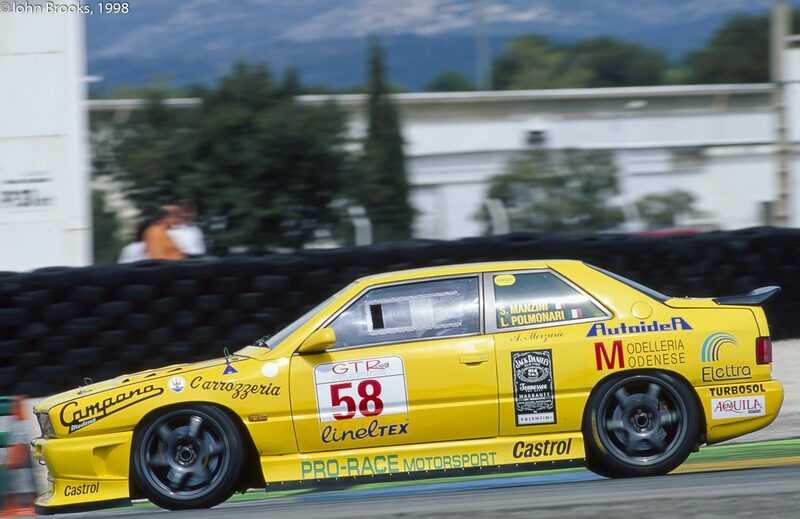 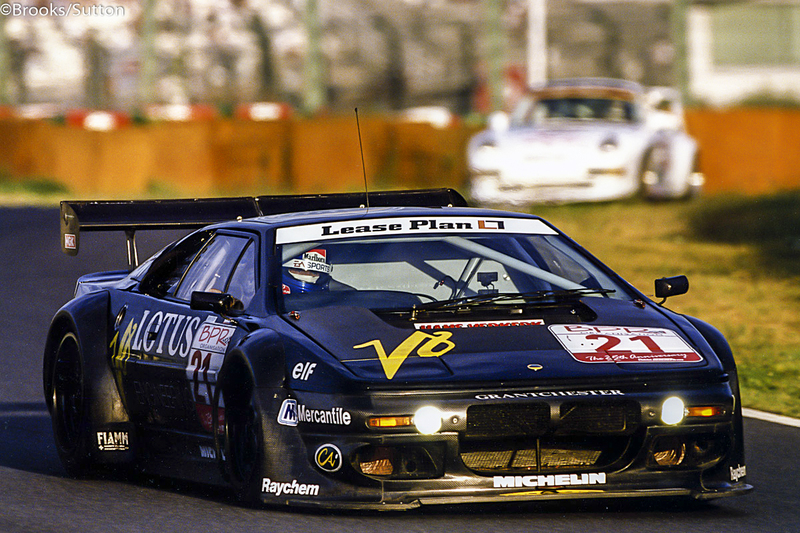 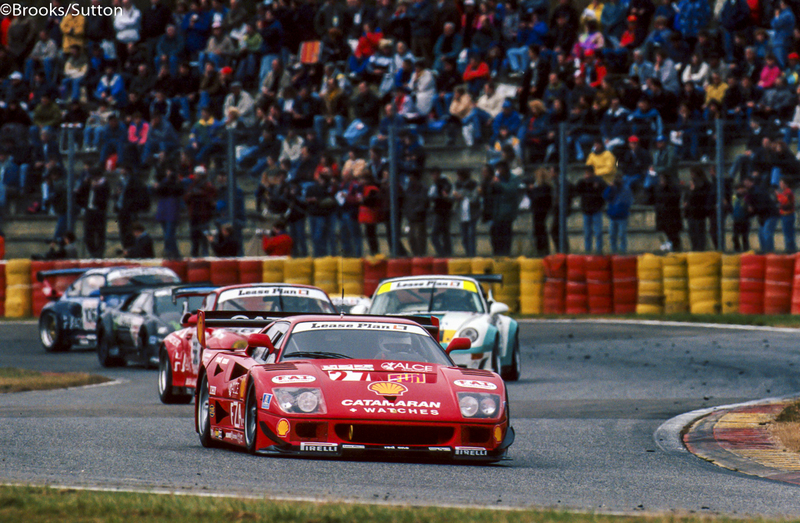 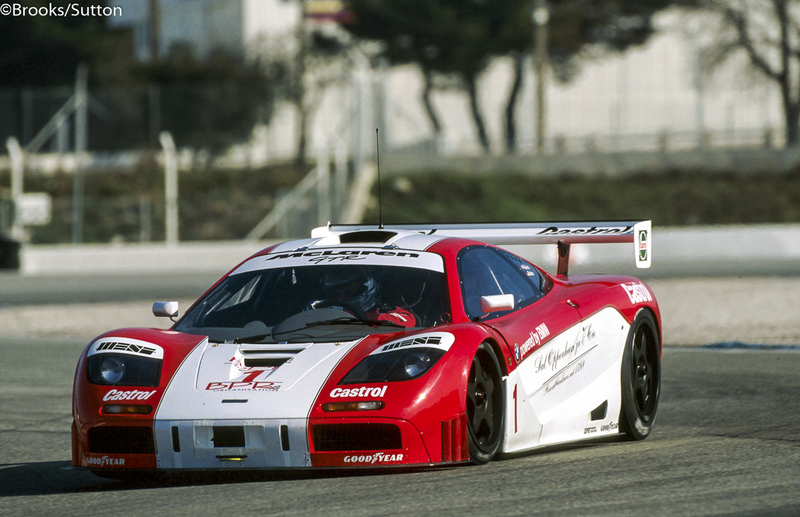 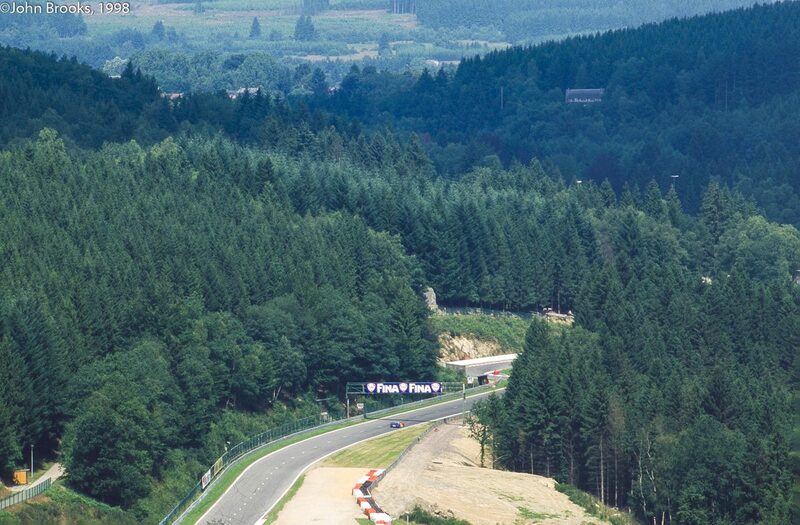 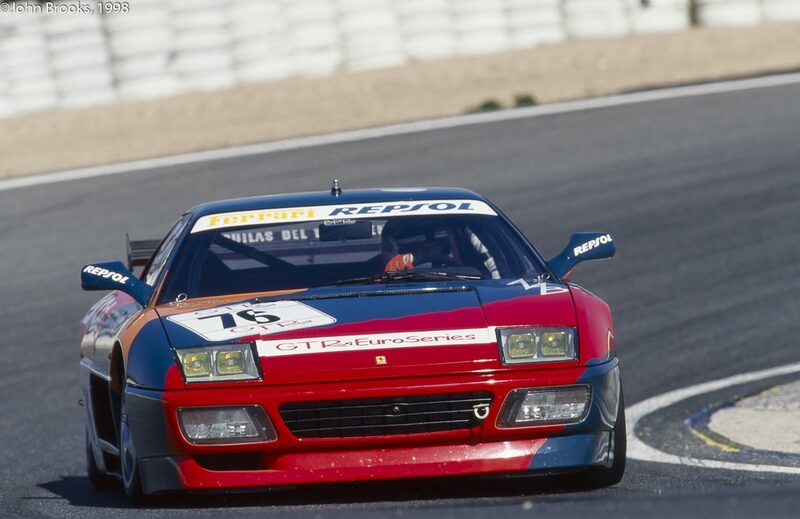 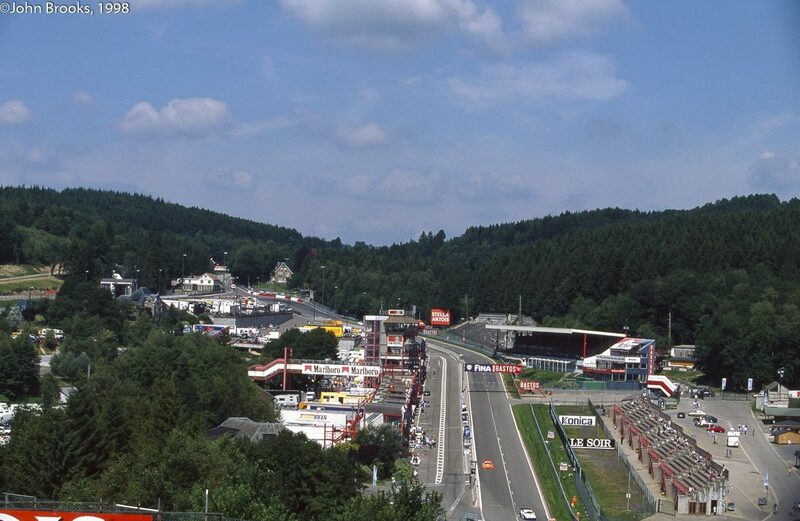 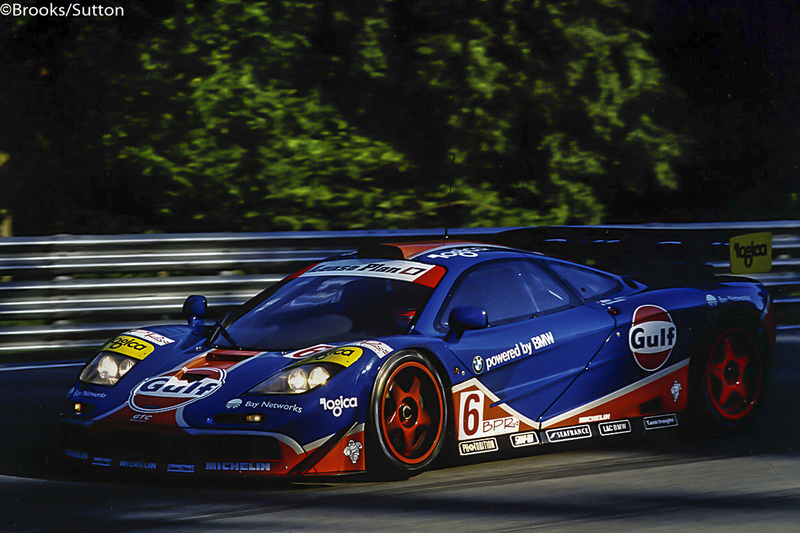 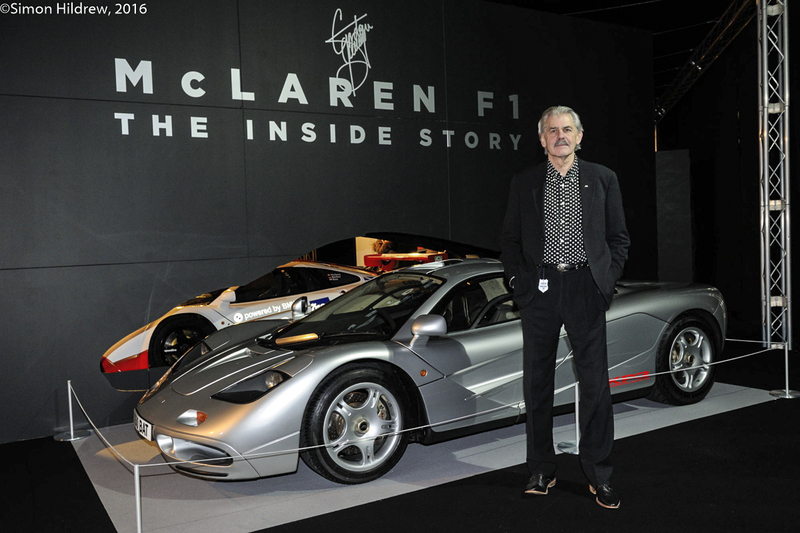 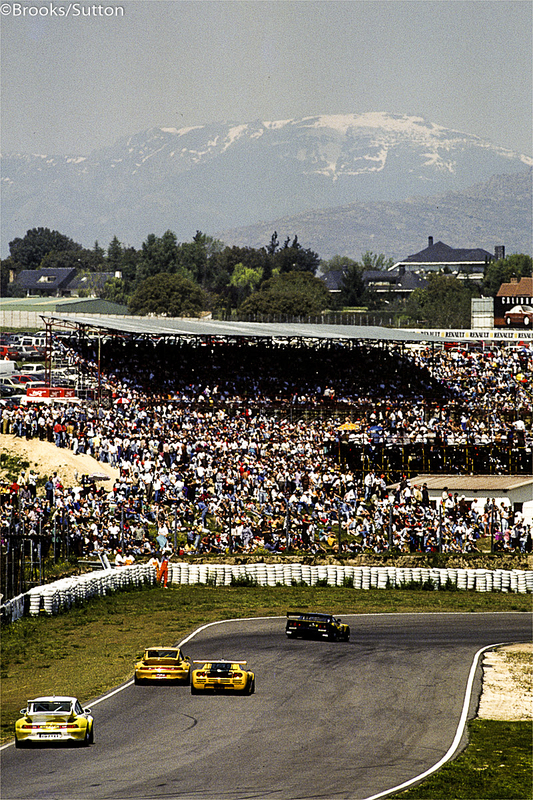 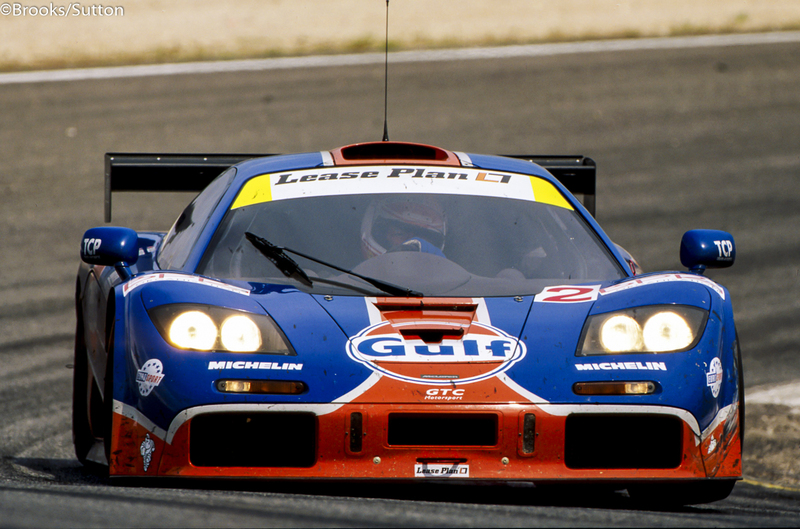 Its impressive history includes such famous names as Waldegard and Larrousse taking turns behind the wheel. 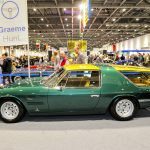 For 1971, the car was used by Barth as a service car for the Monte Carlo Rally and then sold. 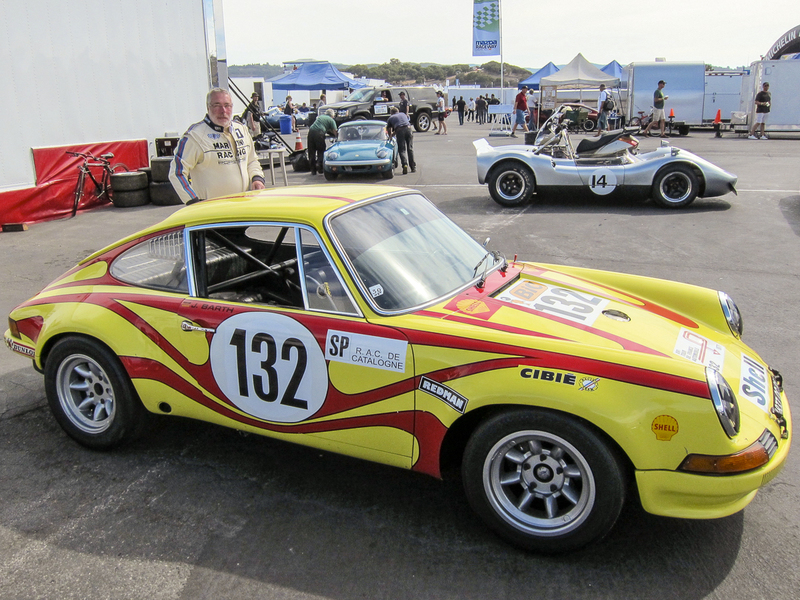 The new owner retained the services of the young driver and the 1971 Tour De France should have been the high point for Barth and this particular 911. 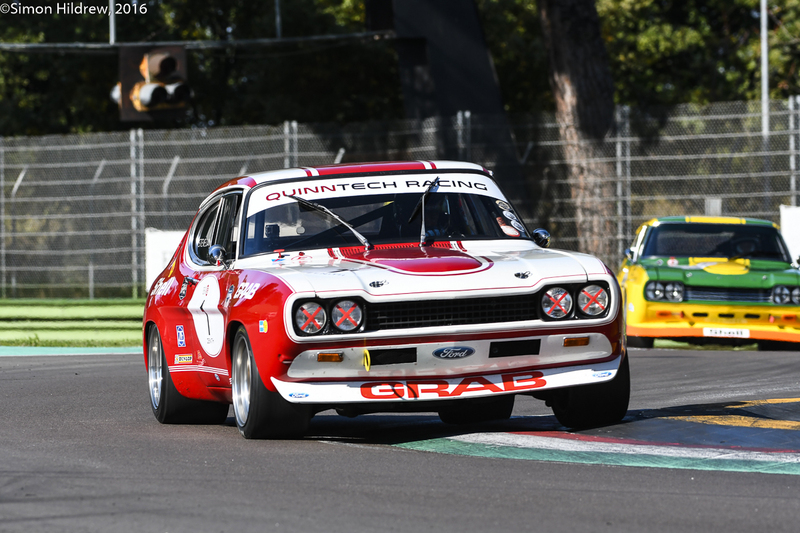 Unfortunately, a loose flywheel and a damaged the crankshaft resulted in a DNF. 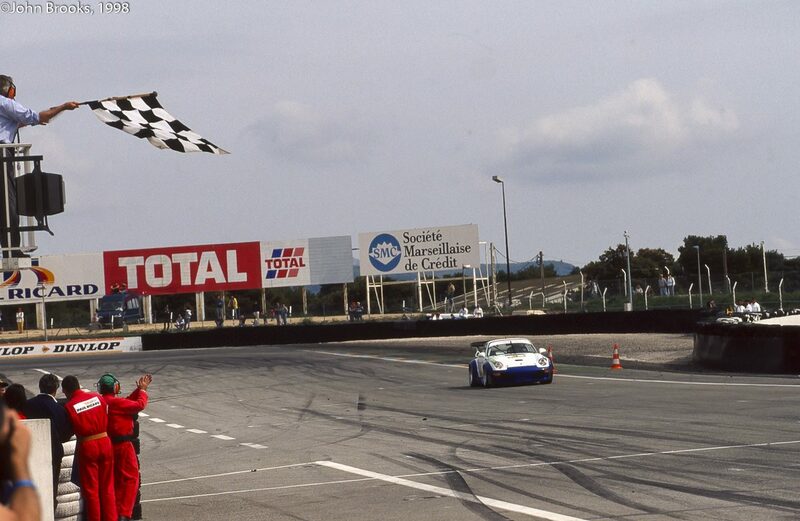 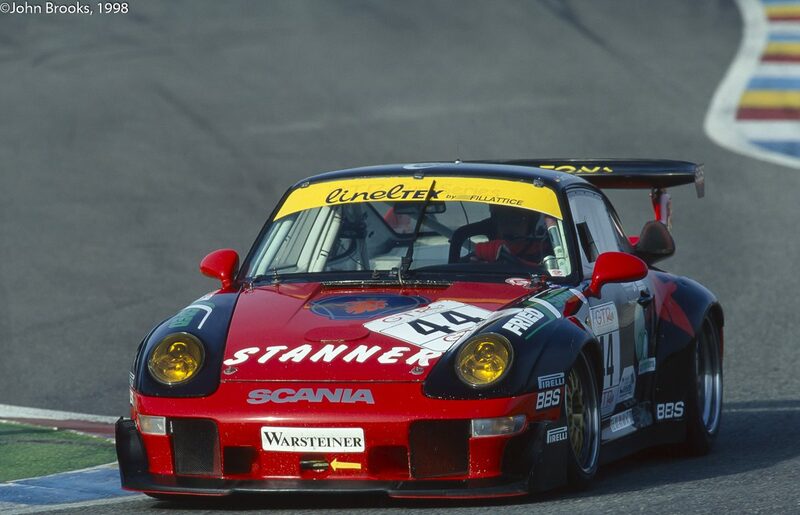 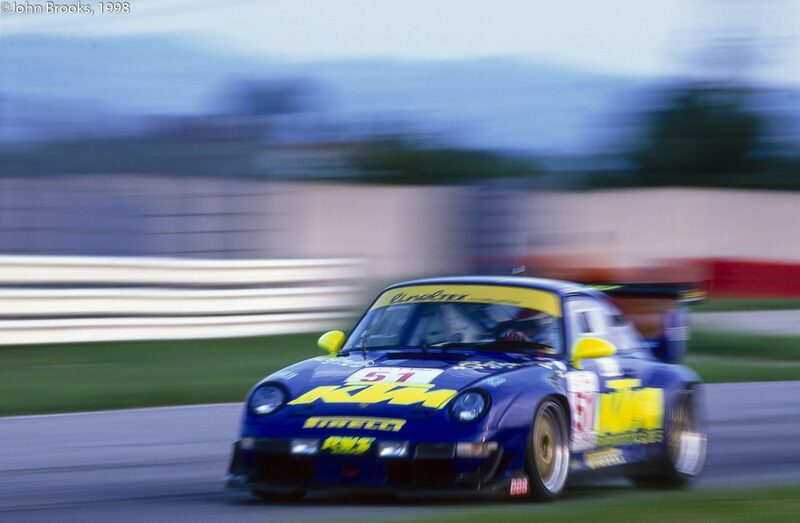 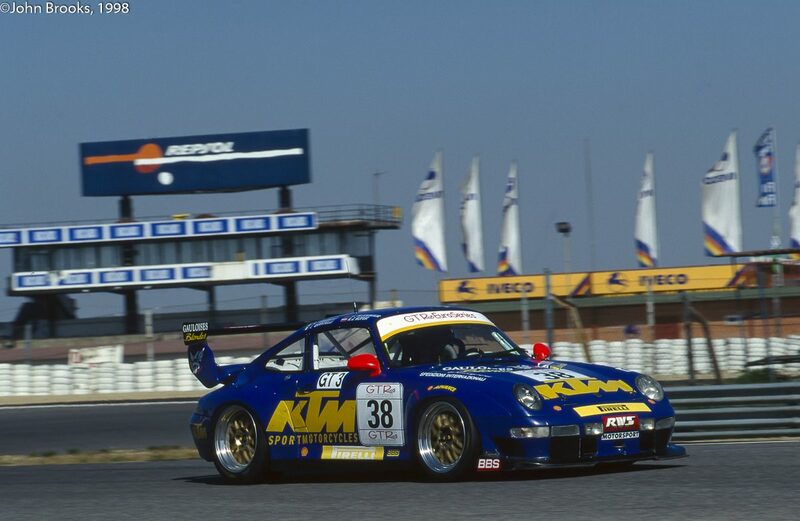 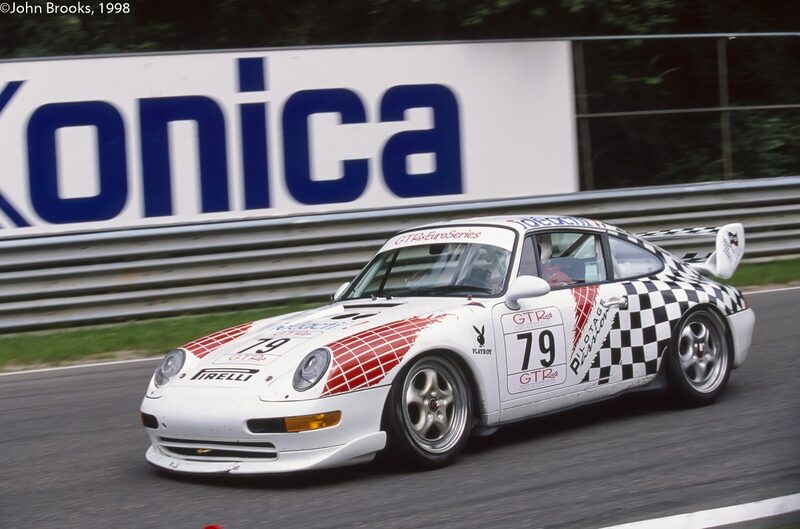 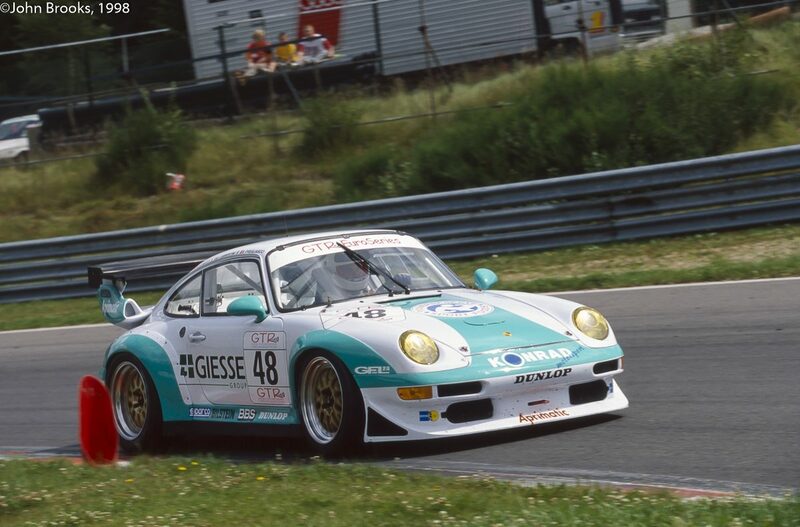 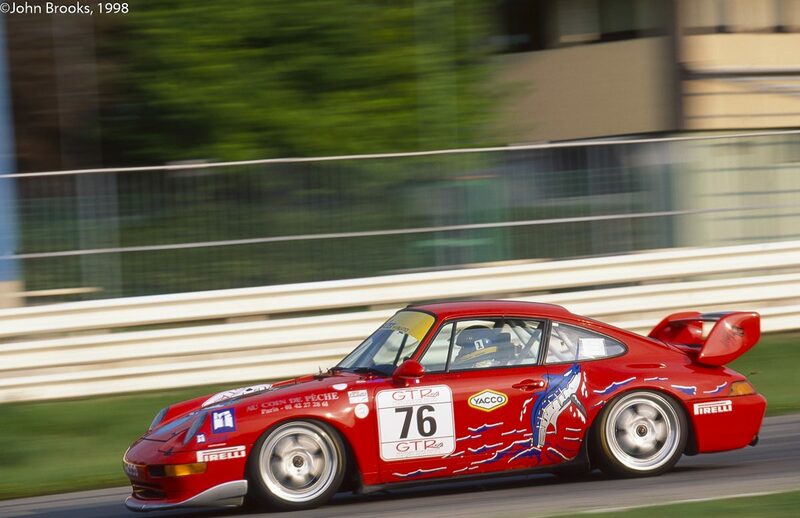 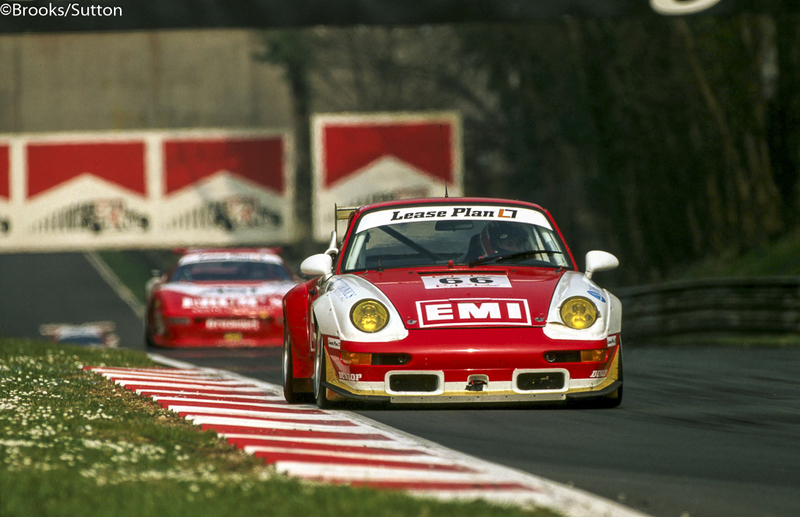 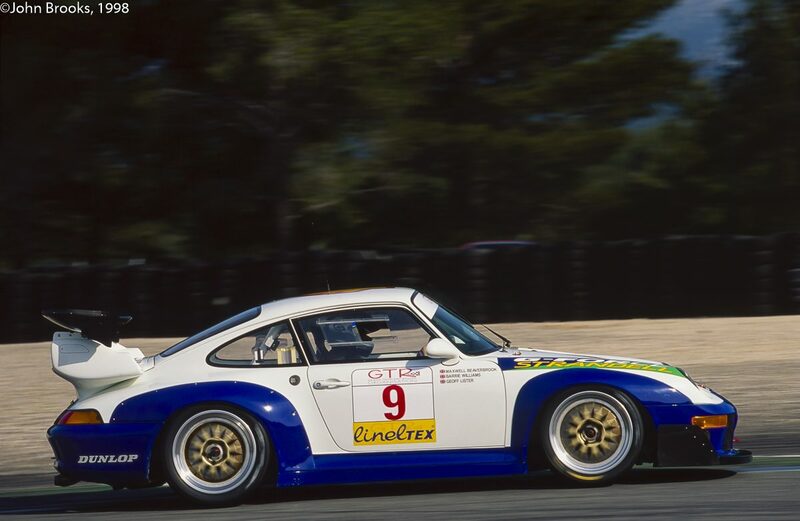 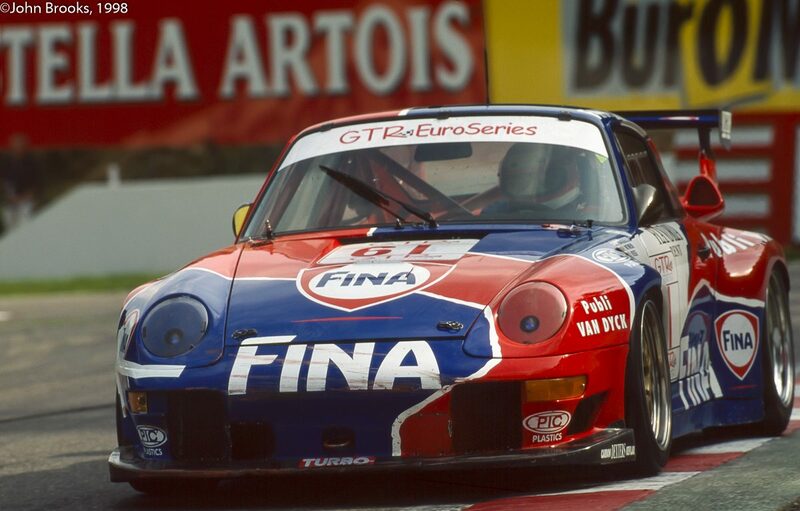 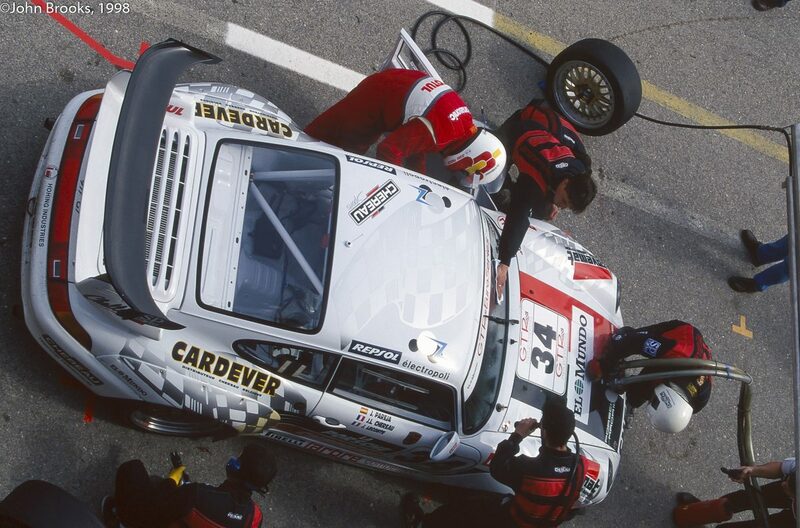 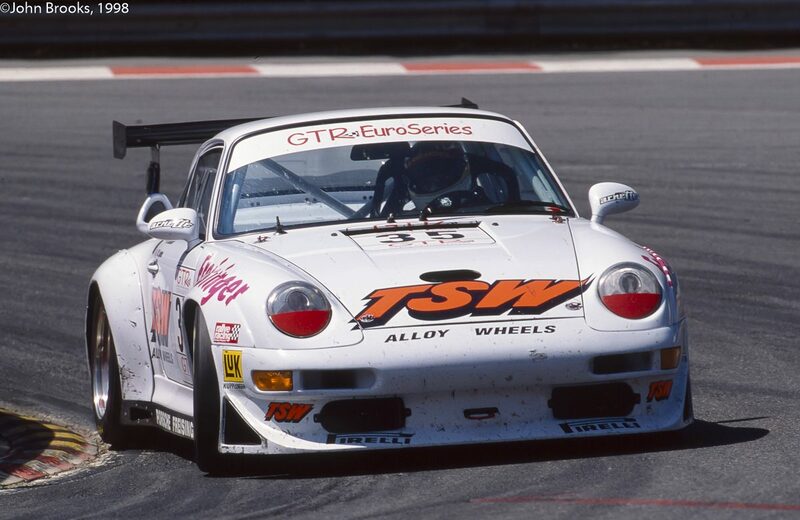 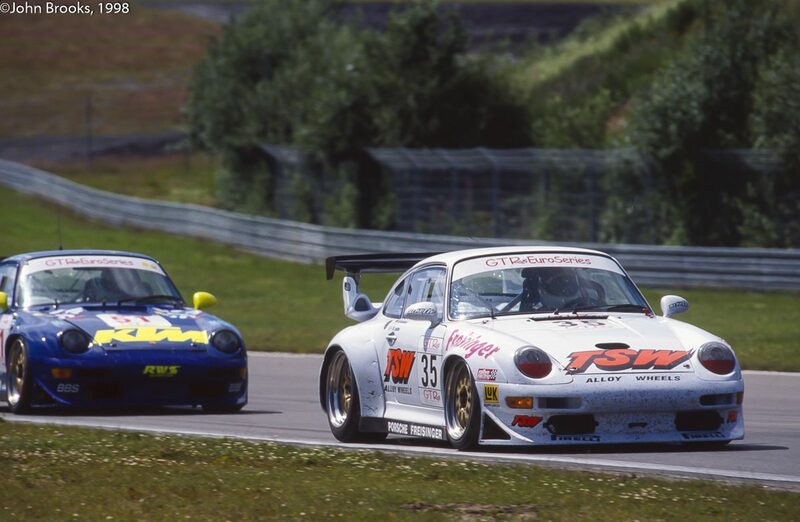 Barth finally got his first 911 win later that year in this same car at a French National race. 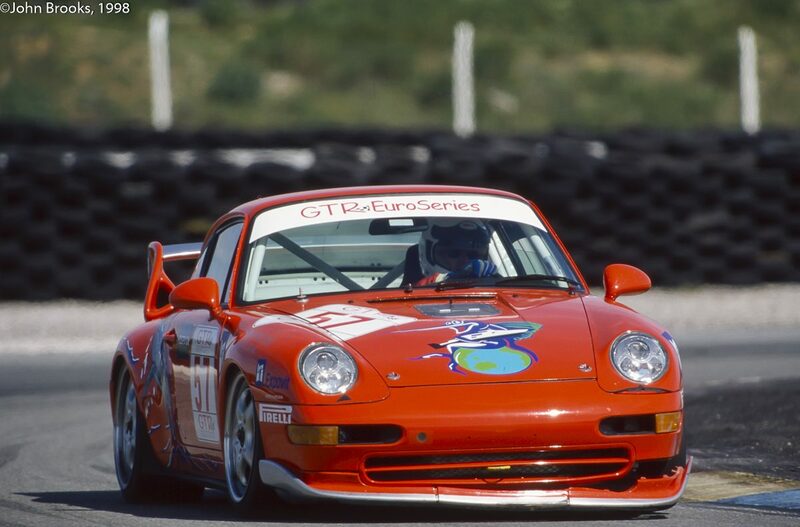 In 1998, with Porsche celebrating a 50th anniversary, owner Roy Walzer asked Barth to drive this special car at the Monterey Historic Automobile Races. 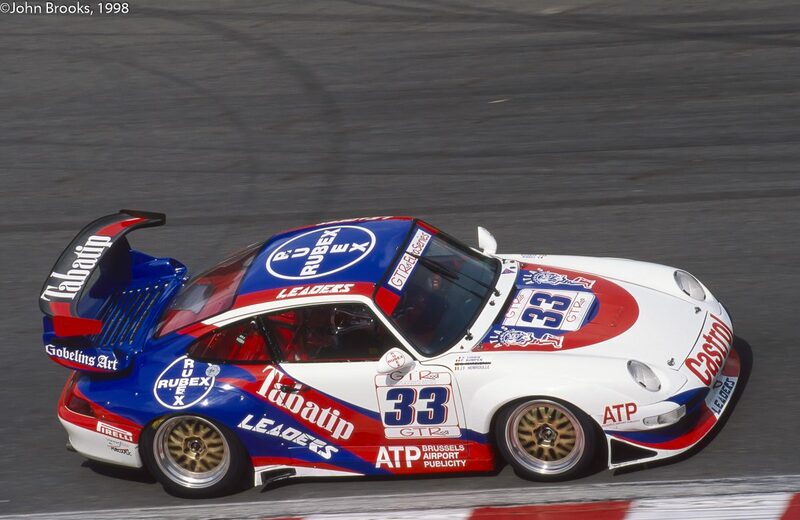 In that race, Barth started 5th and was to lead every lap right up to the last few feet of which Hurley Haywood got by in the Brumos 914-6. 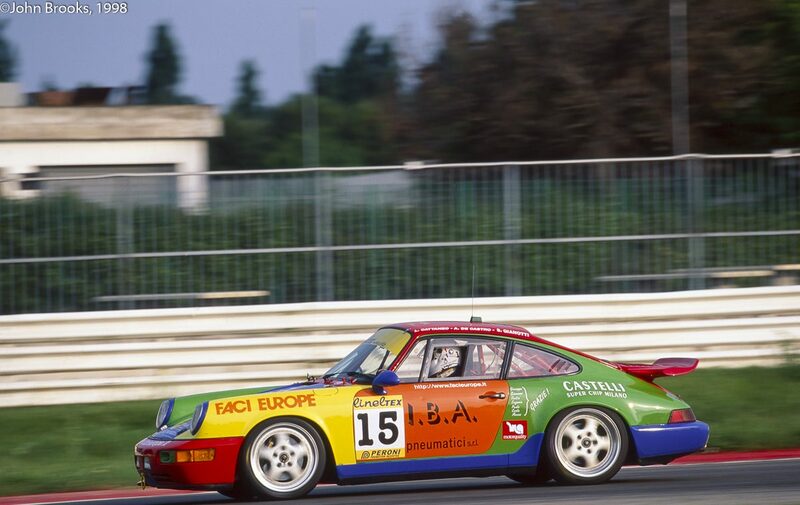 Reunited again in 2013, the car sported the Tour De France colors, the same colors that took Barth out of the hunt. 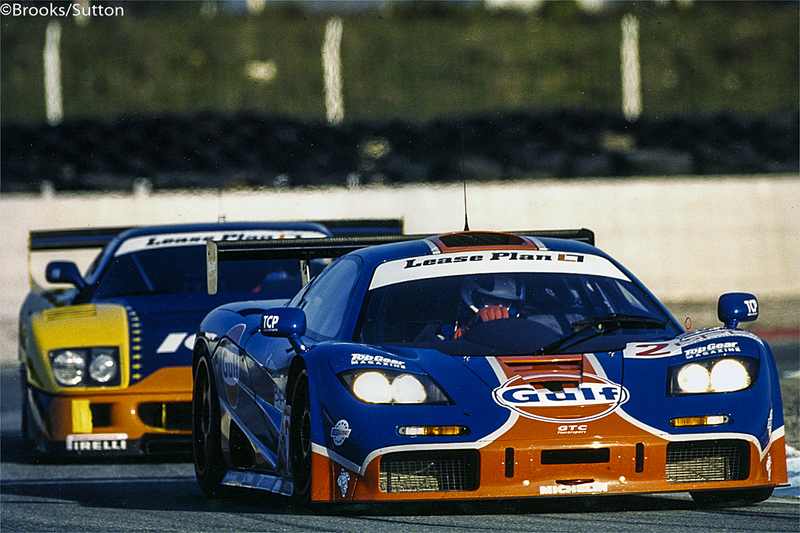 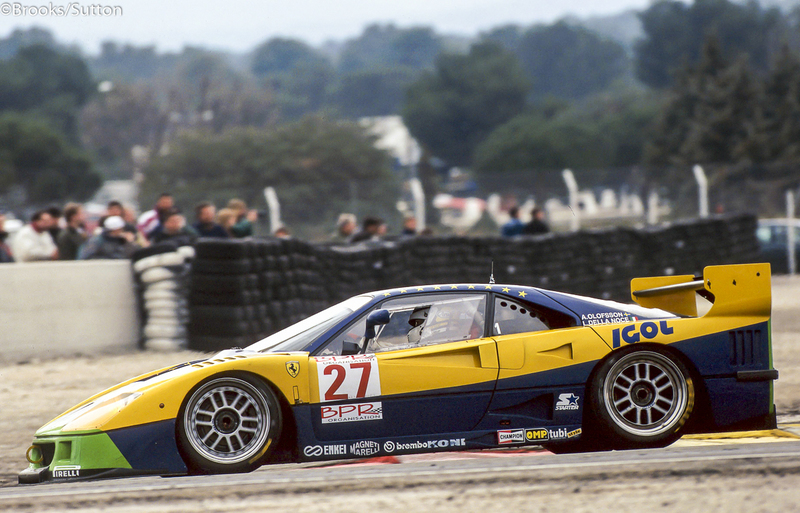 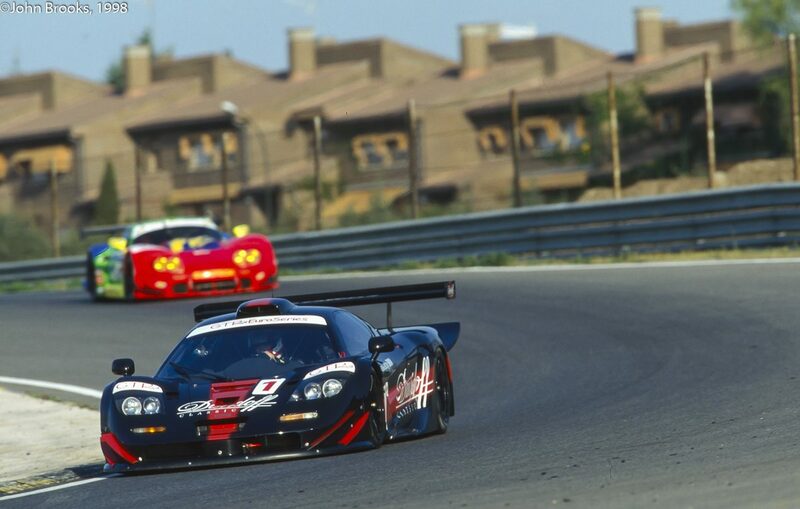 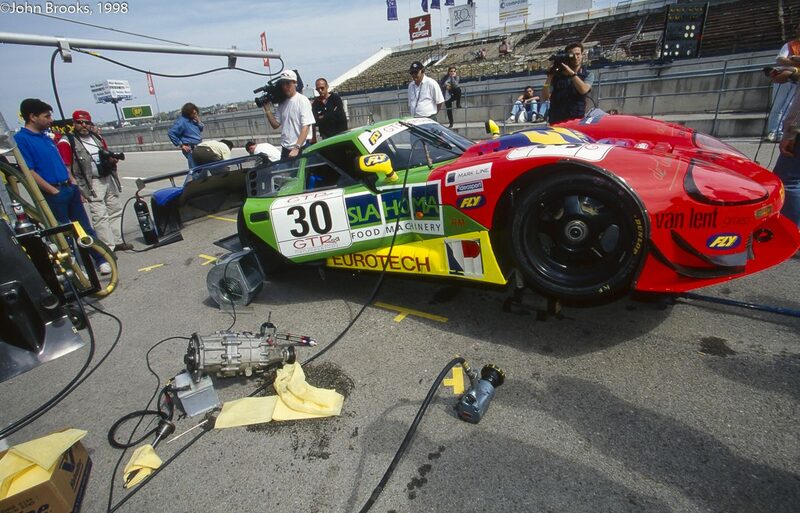 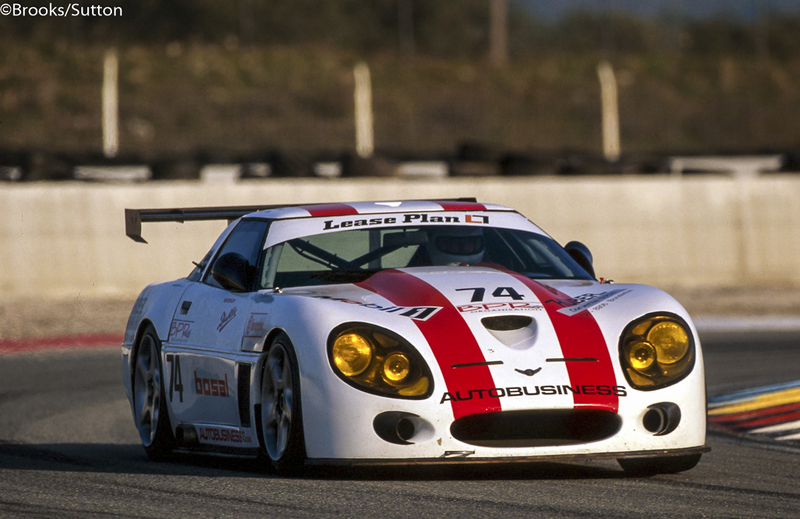 This was the second “go” for both Barth and the machine at Laguna Seca. 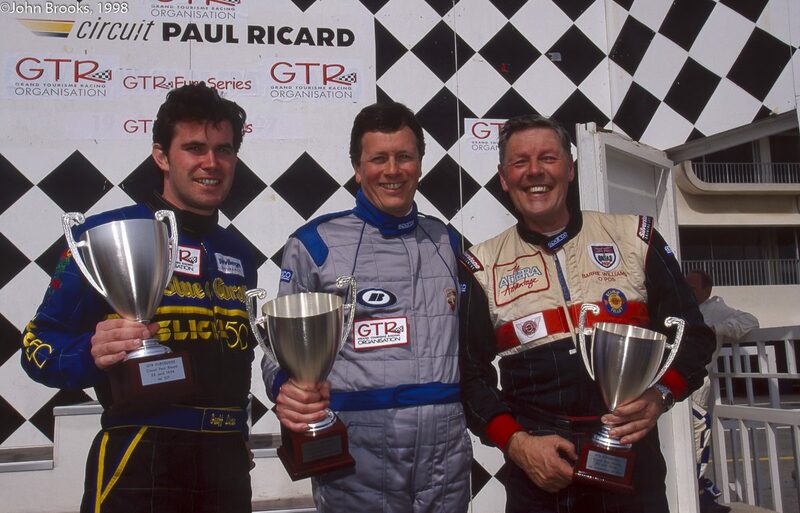 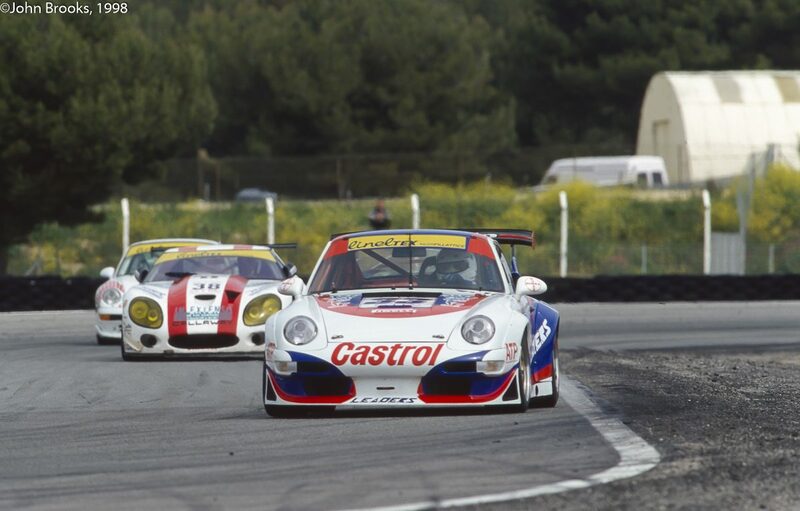 Attrition and incidents cut the field down in Group 8B for Sunday afternoon’s race and thirty 911’s filled the grid. 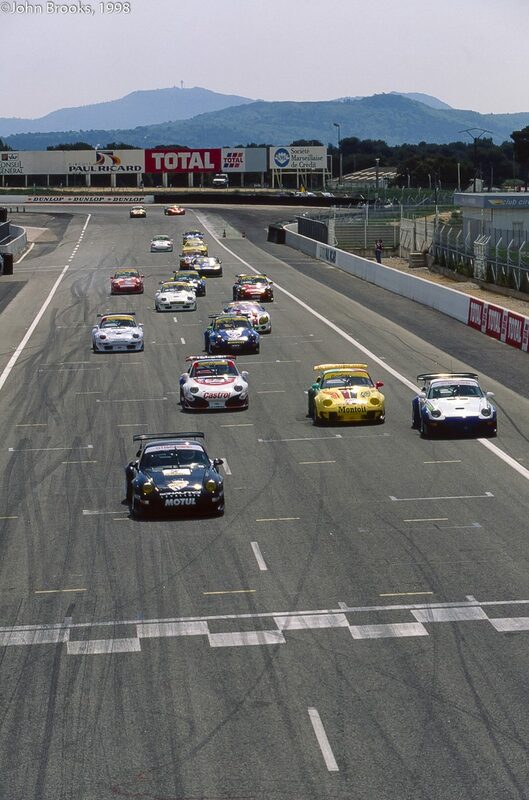 The organizers made the decision to split the field and utilize two safety cars, with the first group getting the green flag approximately fifteen seconds ahead of the second. 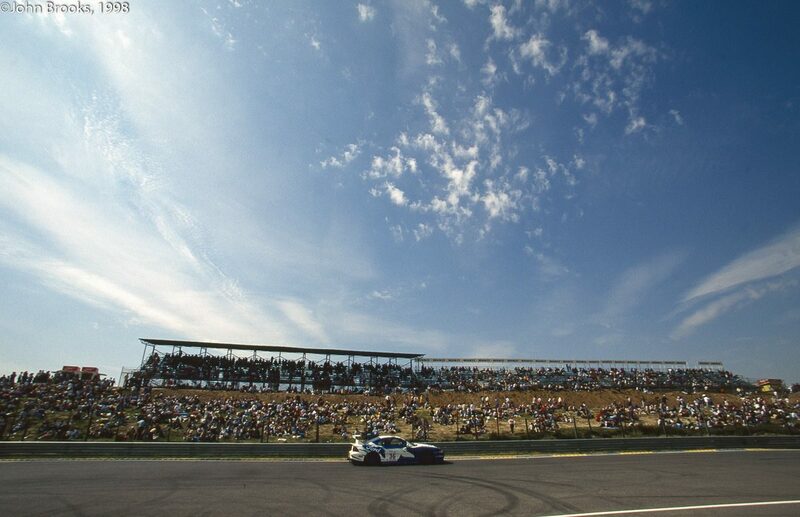 Due to an electrical problem that sidelined Barth on the track during the morning race, he started in 29th position – the back row of the second group. 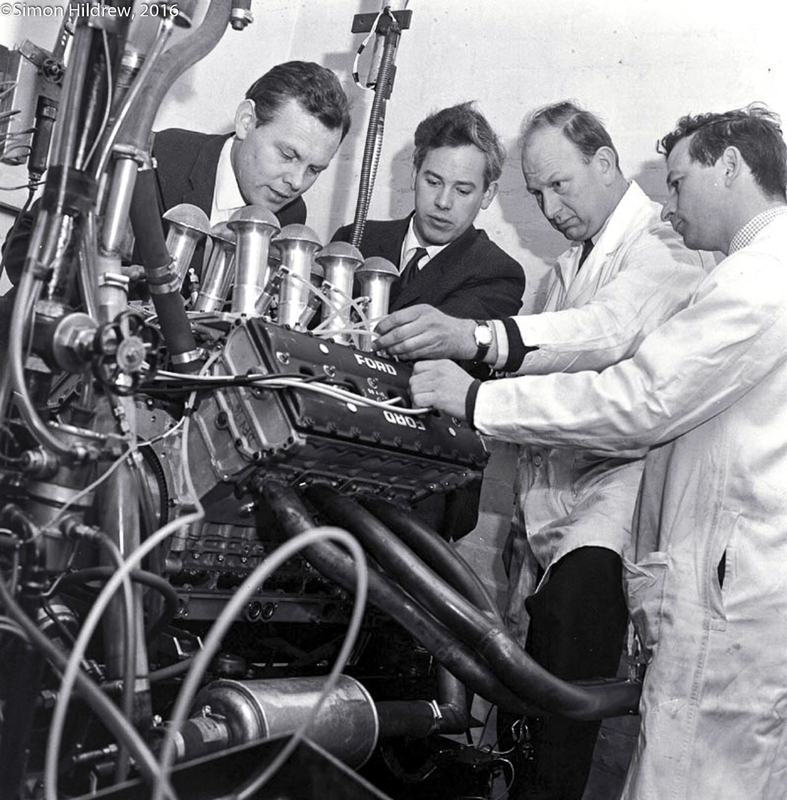 Simply making the start was an achievement of sorts, the electrical problem meant Barth would be driving with no functioning instruments, including the tachometer. 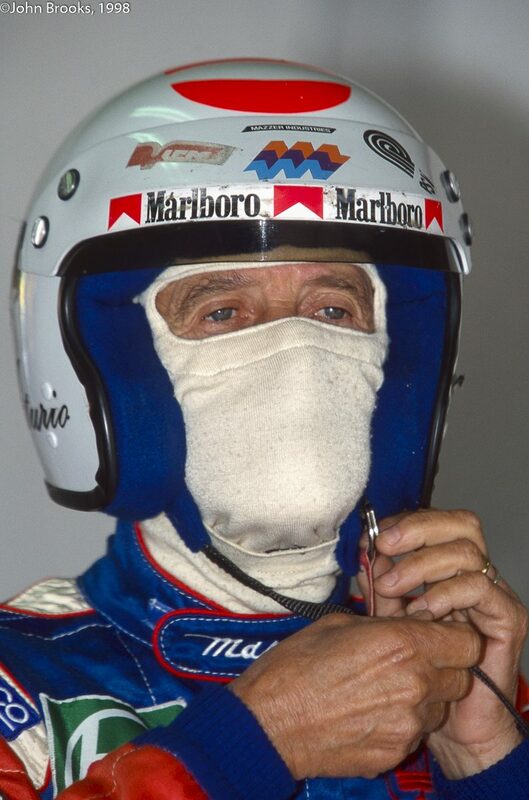 His race would be accomplished by the sound and feel of the car, a professional at work. 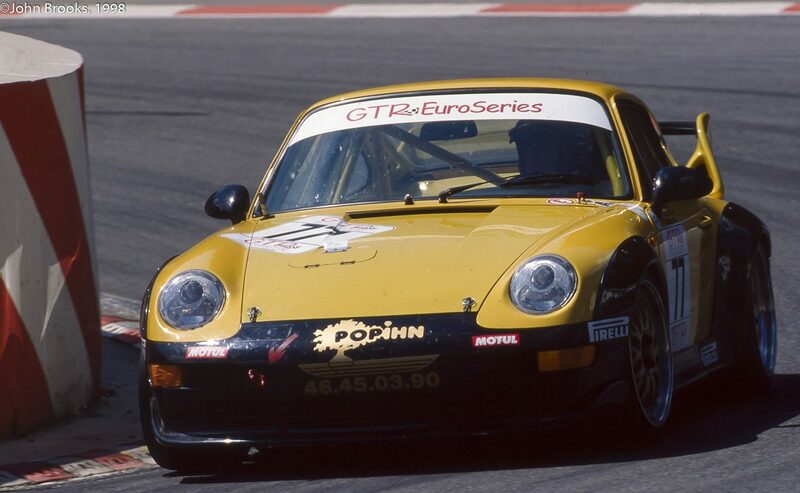 Additionally, the Barth 911 was one of the few cars in the field to race with the correct motor displacement, however, talent can overcome such occasional inconveniences. 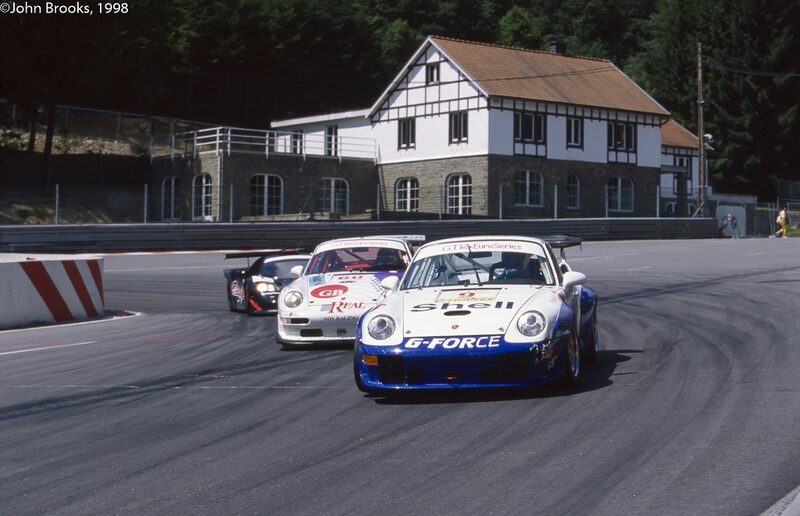 At the end of the first lap he had dispatched the entire second group of cars and took off after the first group with a beautiful display of consistent driving and carrying far more speed in and out of the corners than any of the other 911’s. 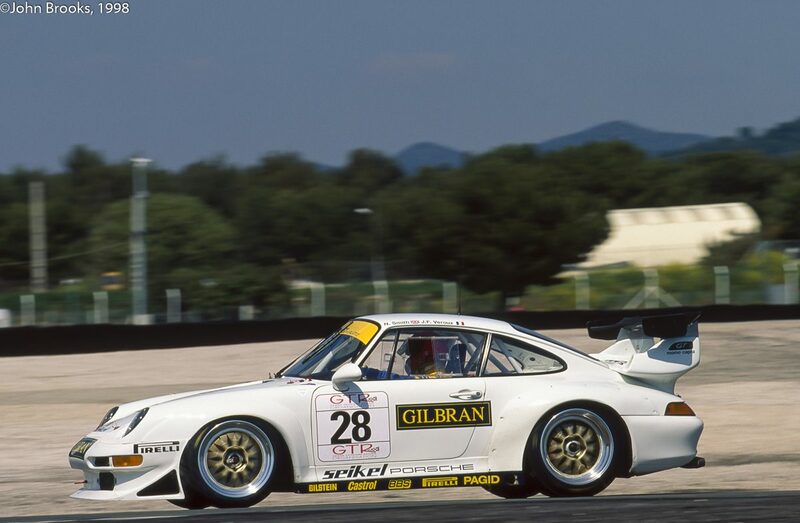 After eight laps it was all over and Barth settled for 8th place with a lap time that on paper would have been third or fourth against more powerful RSR’s. 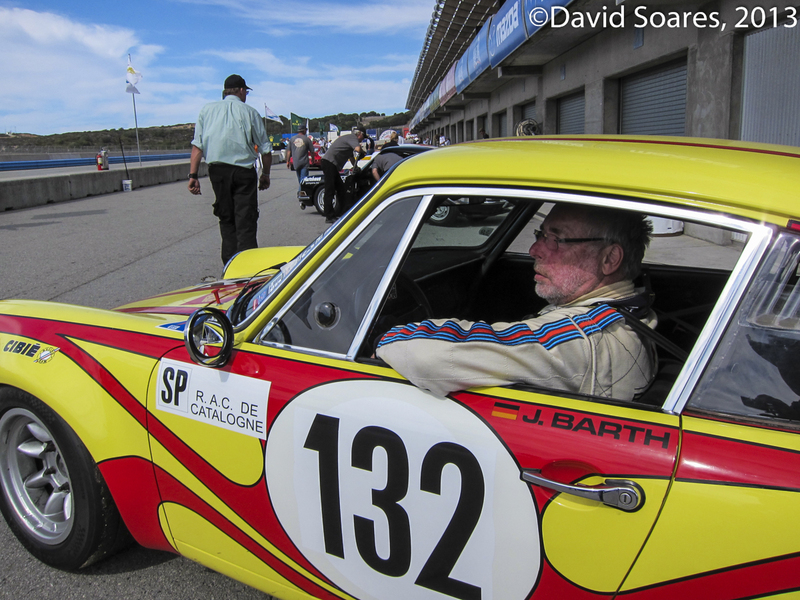 In the end, and in horse-speak, Barth “spanked” the field. 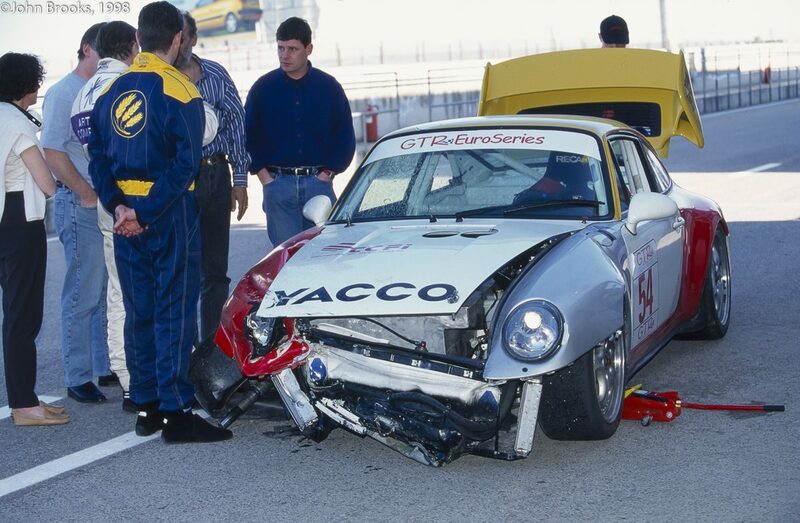 But, for us amateurs, it’s not a punishment. 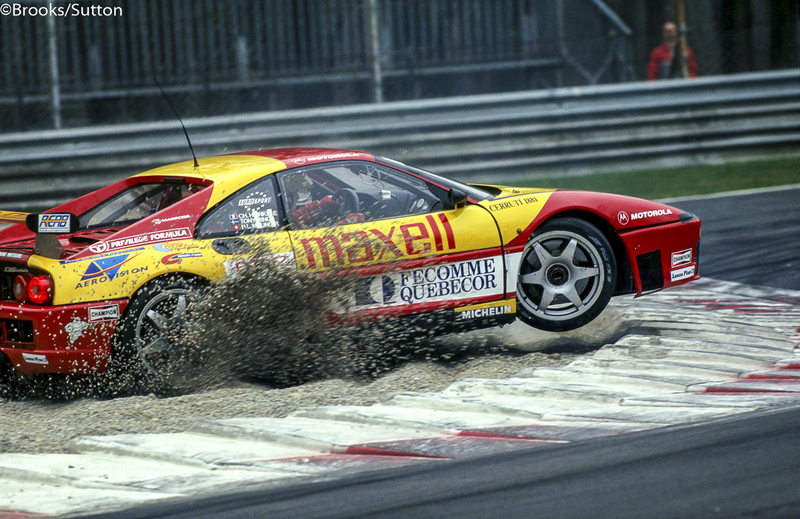 It’s a lesson. 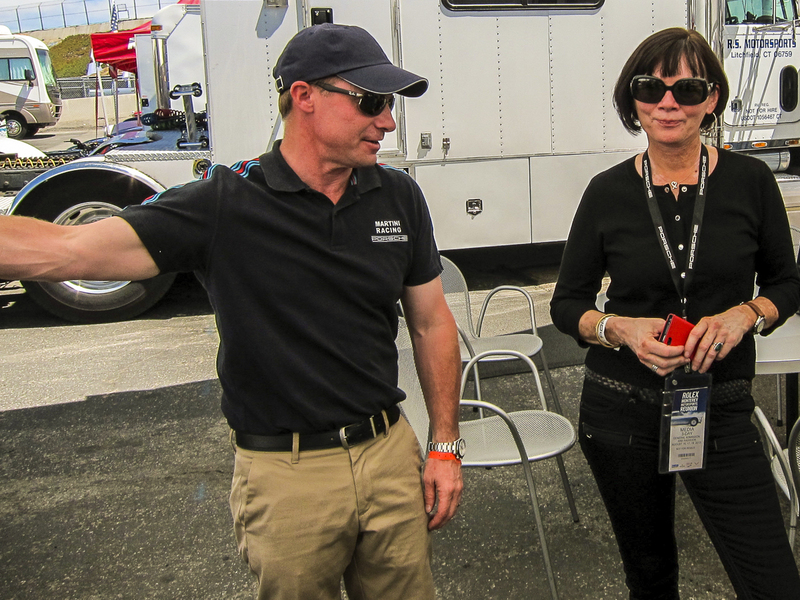 A little tutorial that provides an aspiration for the next time we ride into an arena or drive out of the pits. 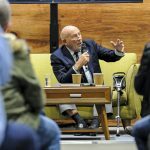 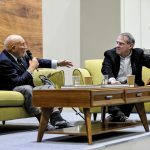 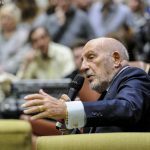 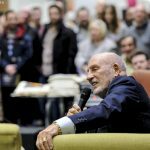 Mea Culpa, I failed to credit David Soares for the photos…………. 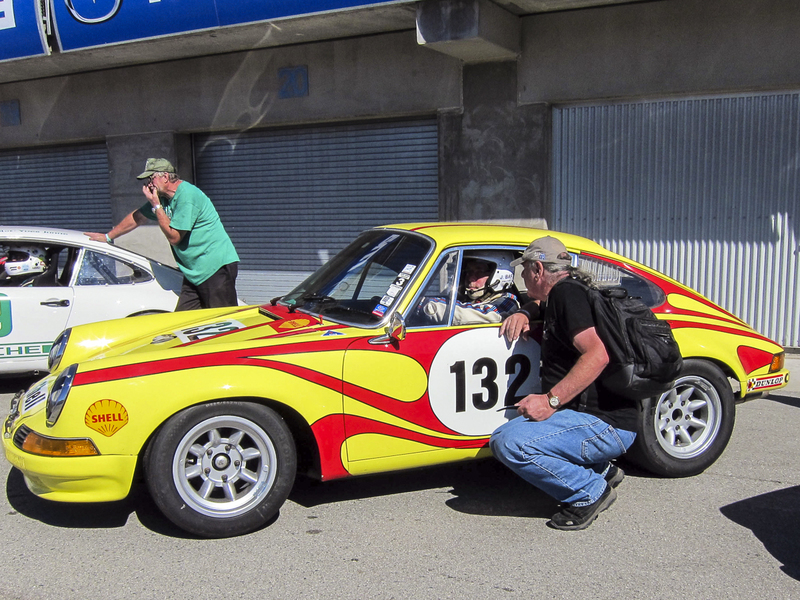 This entry was posted in Real Men, The Social Pages and tagged Jürgen Barth, Porsche 911, Rolex Monterey Motorsport Reunion on October 13, 2013 by John Brooks. 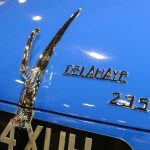 No it is not a call for Mason Williams or Ryland Cooder, however timeless they are, but it is mid-August so the Monterey Peninsula is buzzing with automotive gold. 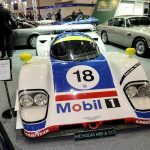 Whether it is down on Pebble Beach or up at Laguna Seca there is something for every kind of petrolhead and I hope to bring you more during the coming weeks. 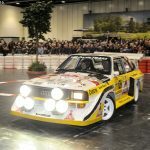 Here is a bit of the real stuff. 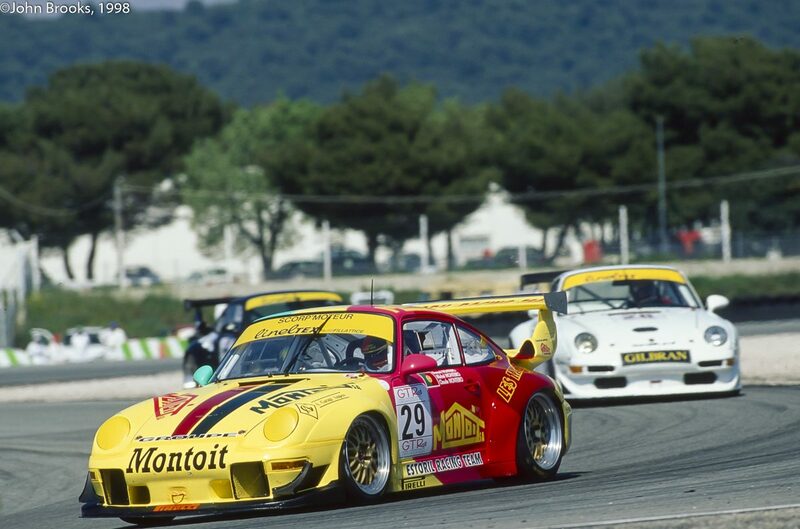 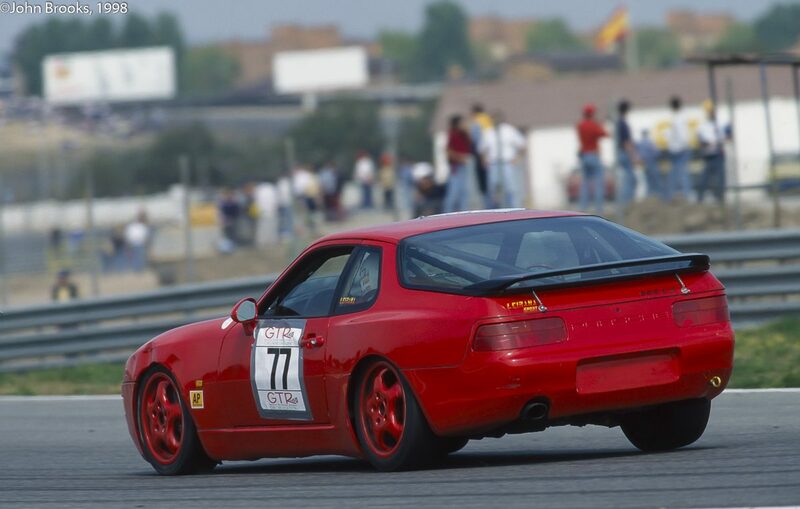 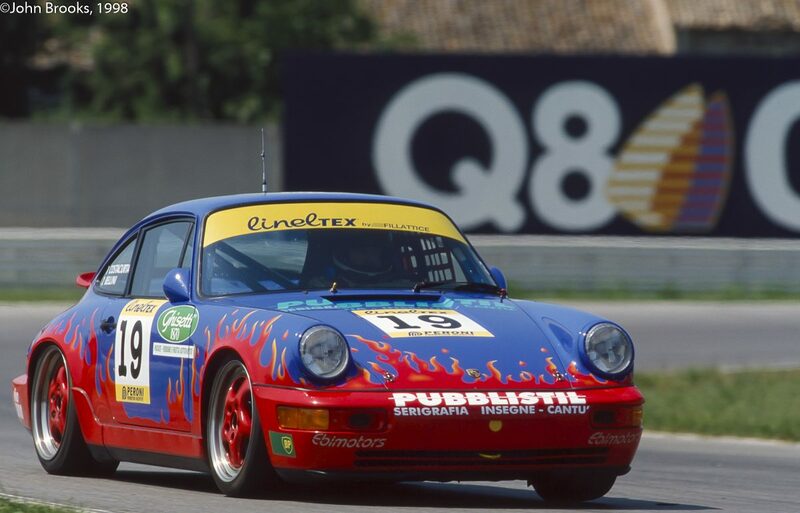 Jürgen Barth in a 911 sporting Catalan colours, courtesy of our friend David Soares. 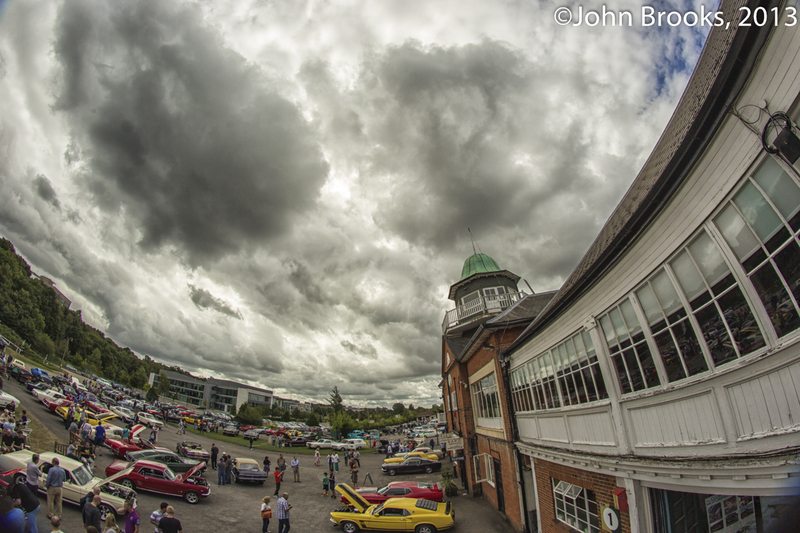 Meanwhile on the other side of the world I popped over to my local track, Brooklands. 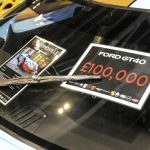 The reason was to see the Mustang and other Americana event and well worth the time it was too. 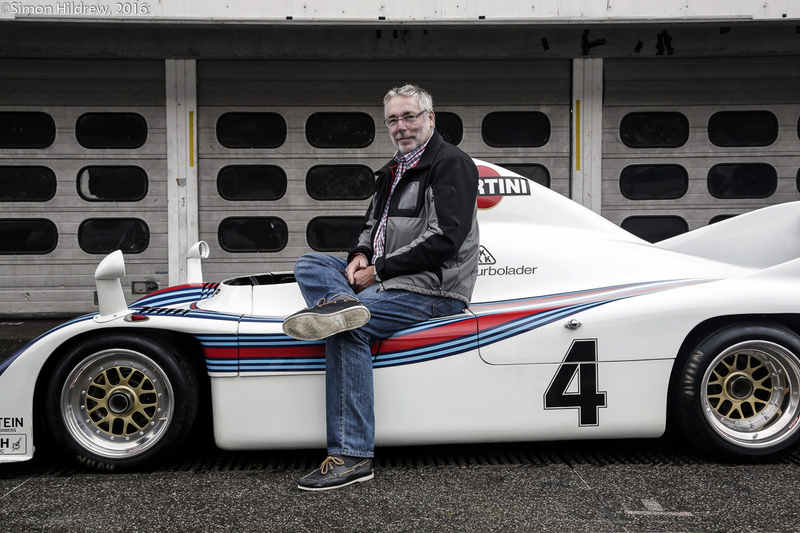 More from that later……………OK it was not The Quail but the same spirit is found here around the Byfleet Banking, Percy Lambert’s ghost still races his Talbot and with the right kind of imagination you can feel that Certain Sound. 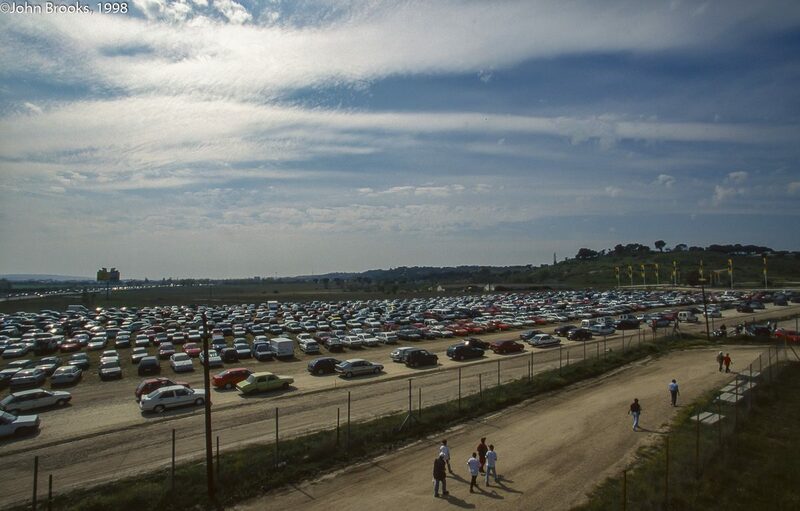 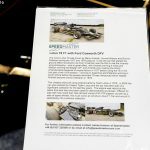 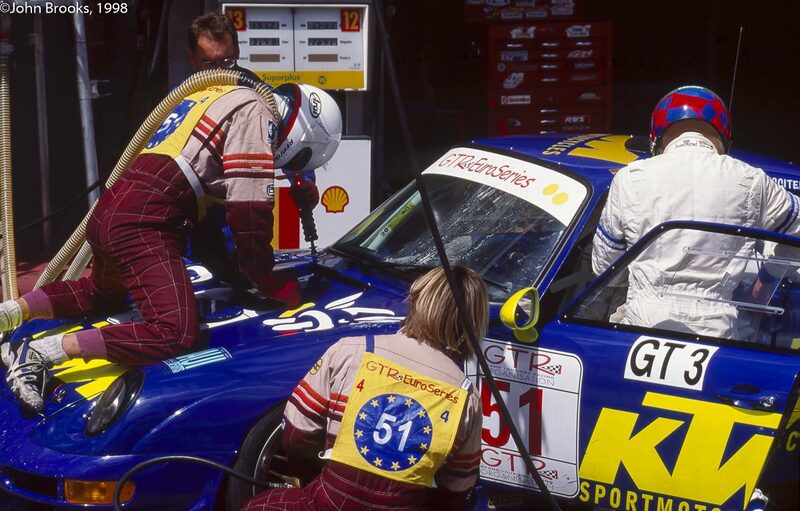 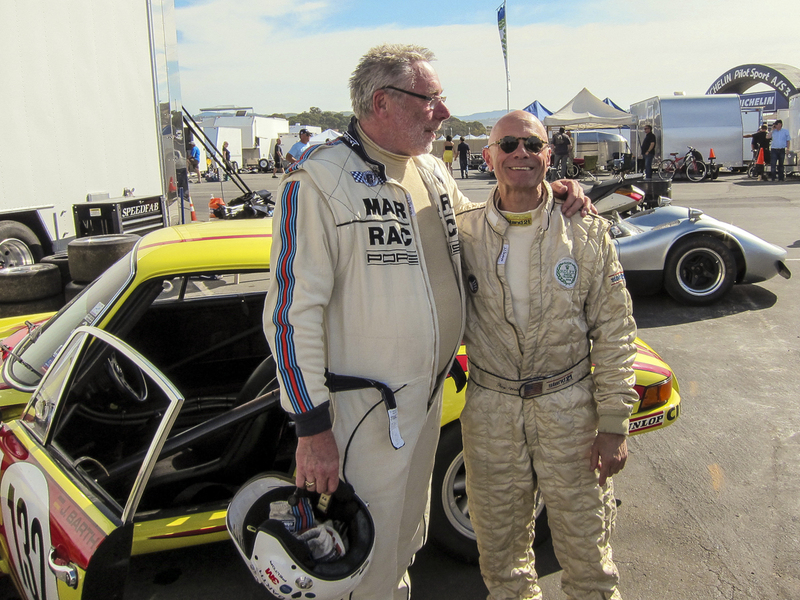 This entry was posted in Cool Stuff, Notes from the Cellar, Rare and Interesting, Real Men and tagged Brooklands, Jürgen Barth, Laguna Seca, Porsche 911 on August 19, 2013 by John Brooks.